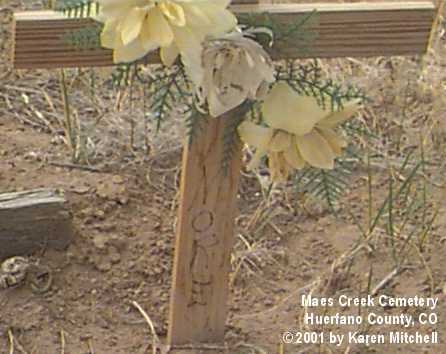 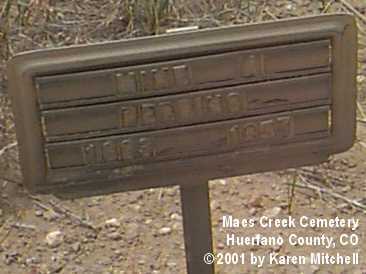 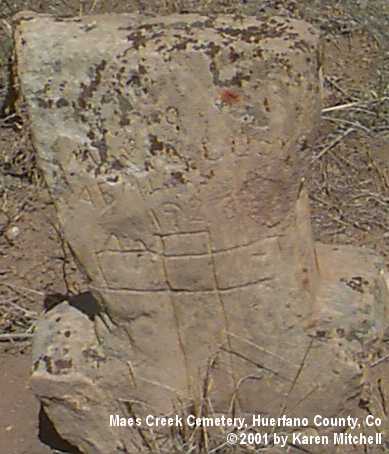 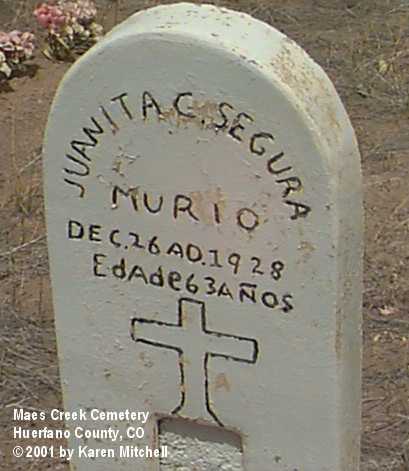 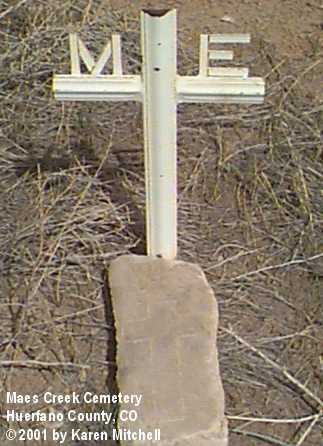 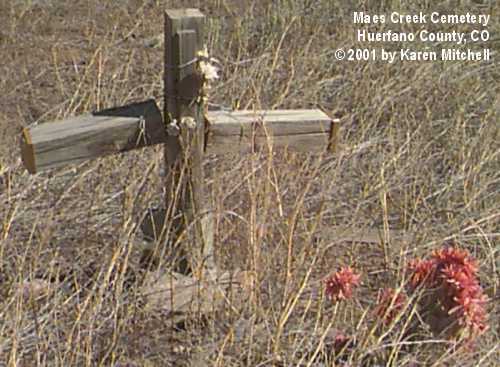 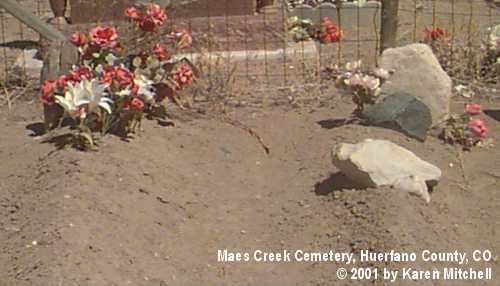 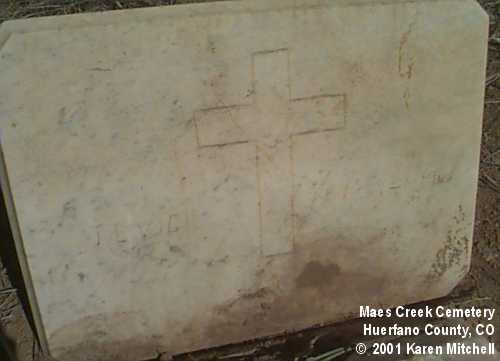 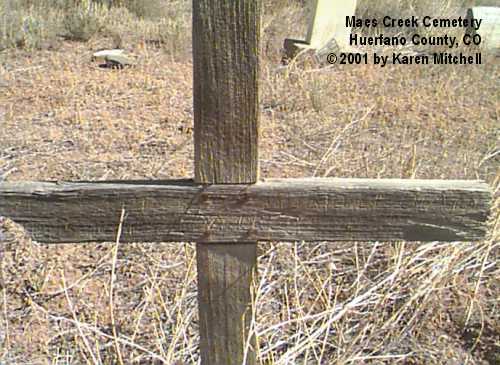 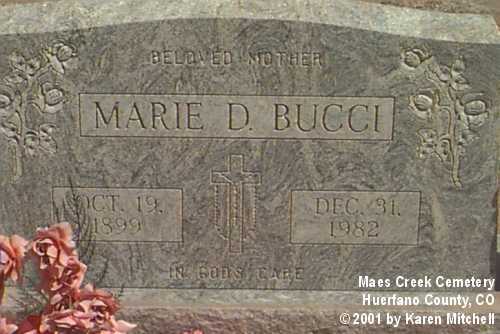 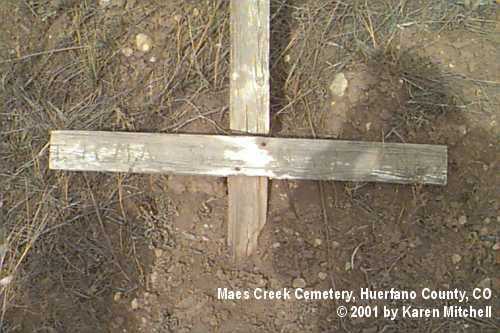 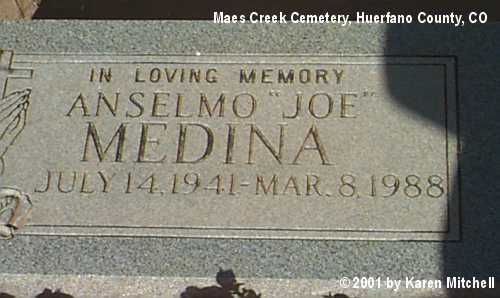 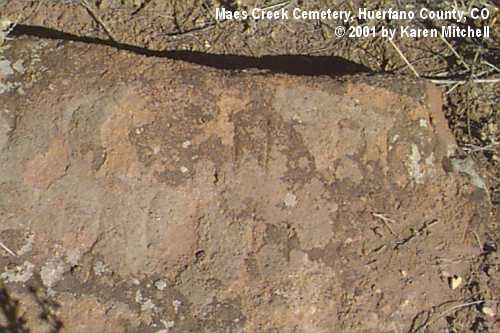 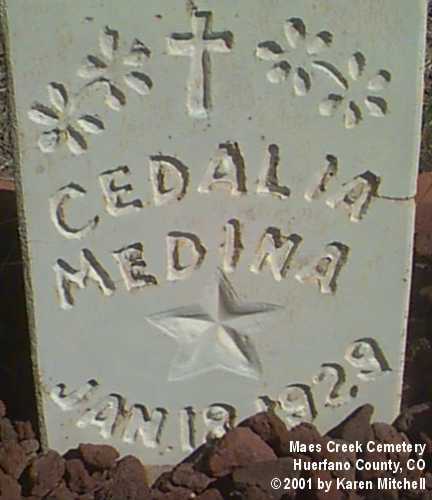 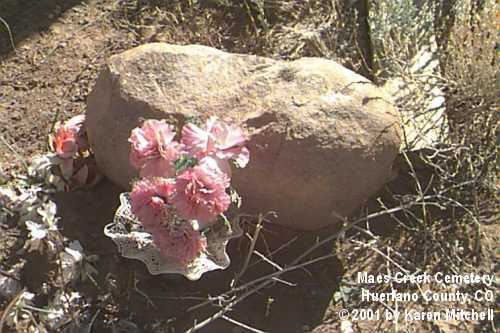 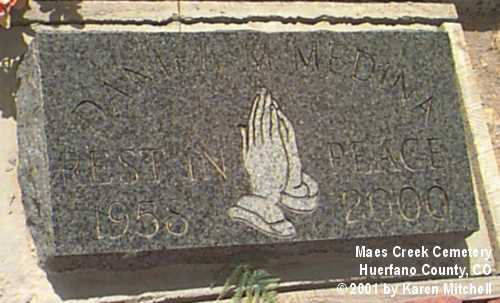 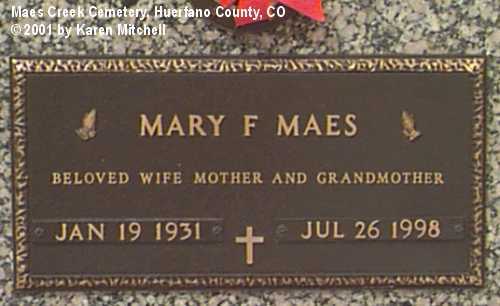 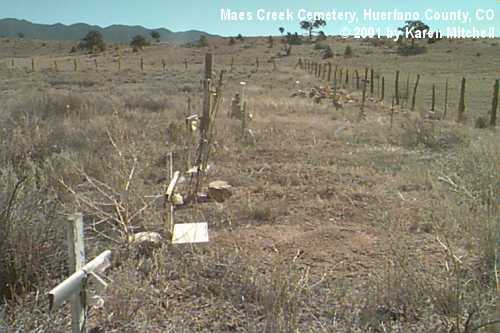 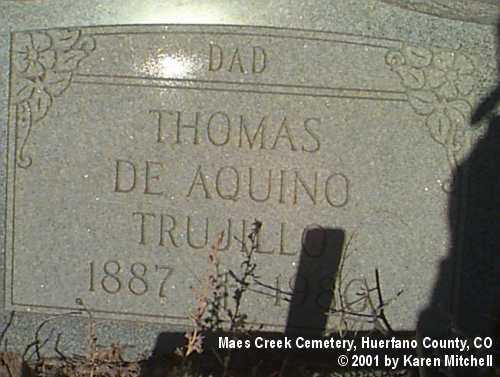 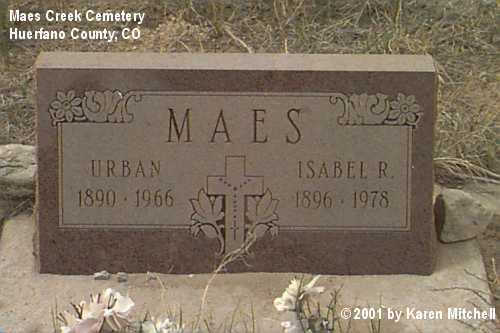 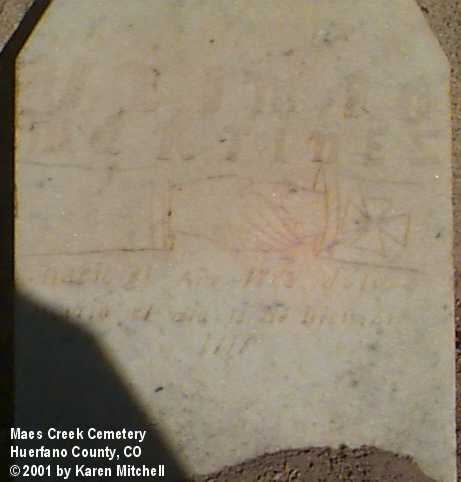 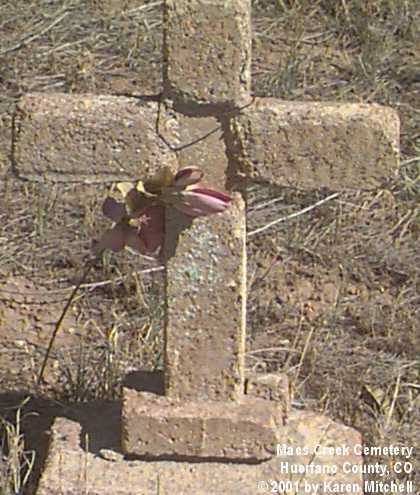 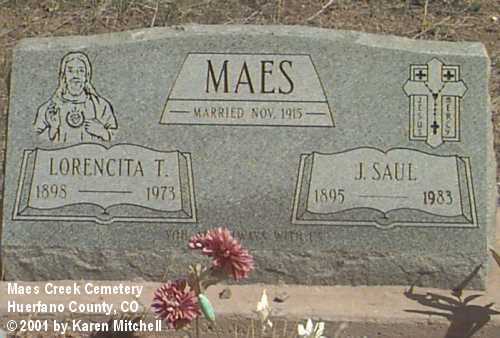 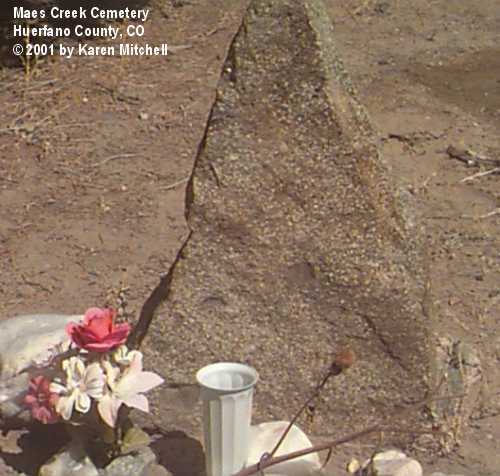 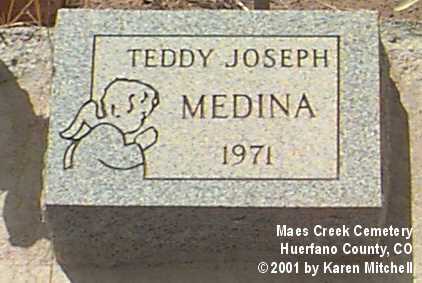 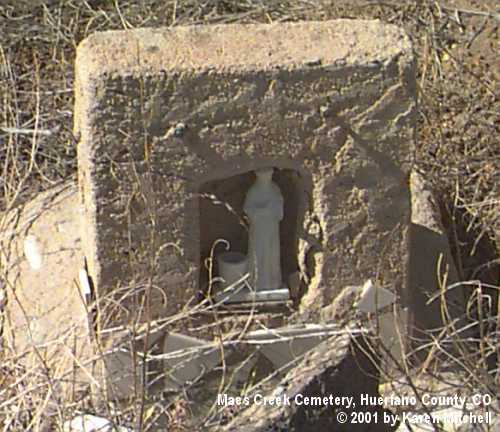 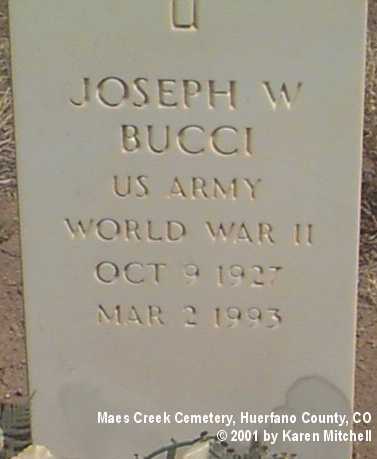 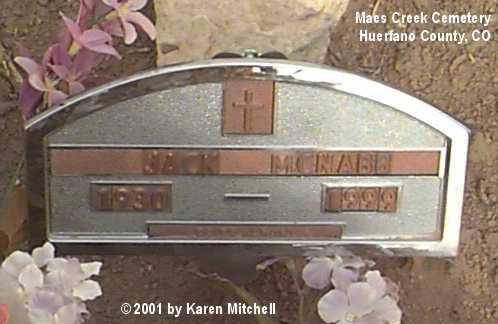 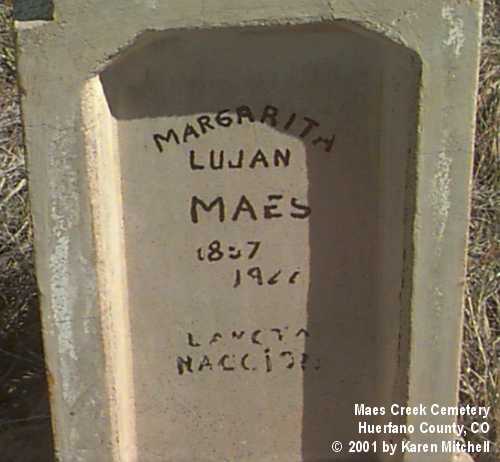 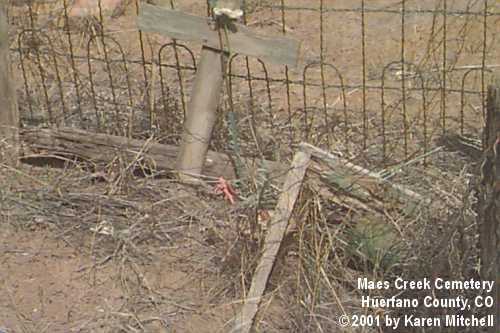 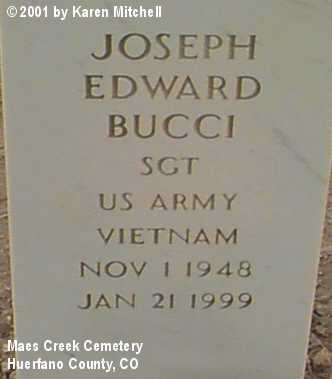 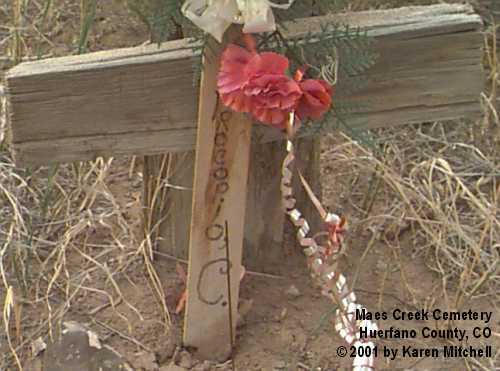 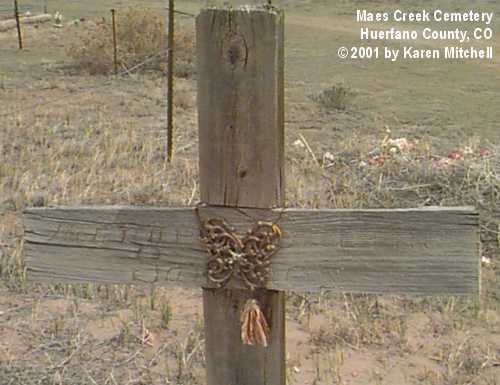 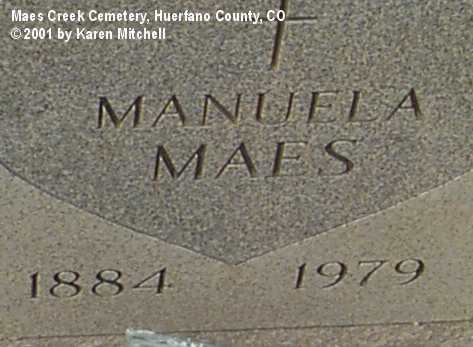 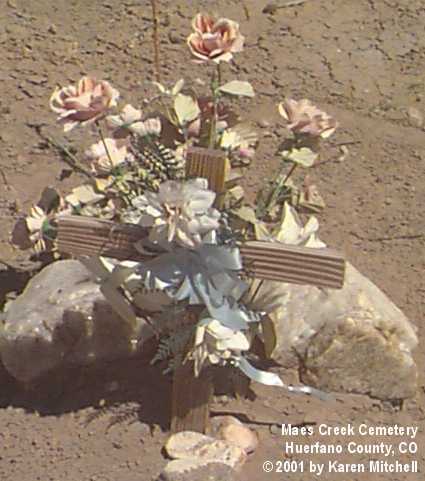 Maes Creek Cemetery is located at the Junction of Maes Creek and Turkey Creek Road (SW 1/4 of SW 1/4 of Sec 11, T26S, R69W). 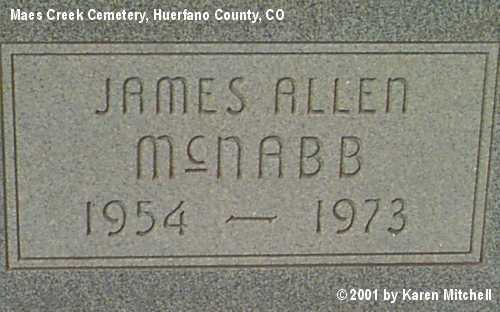 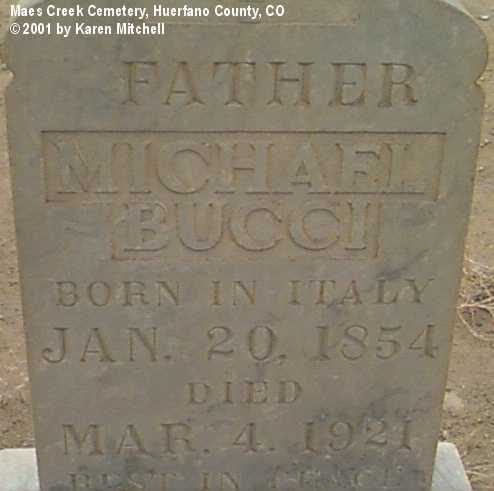 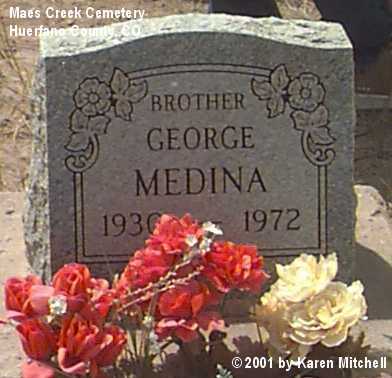 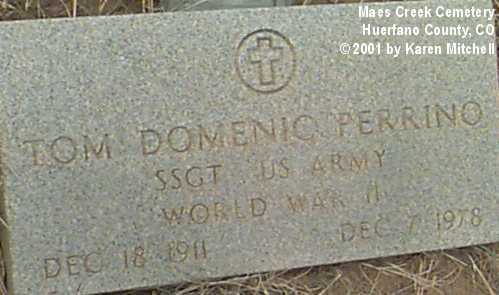 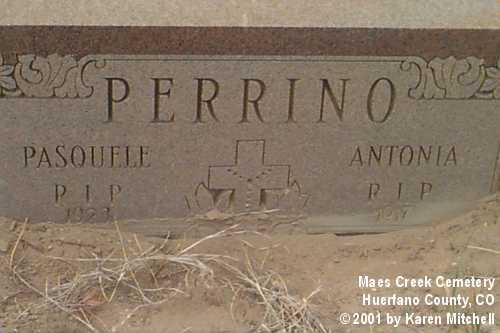 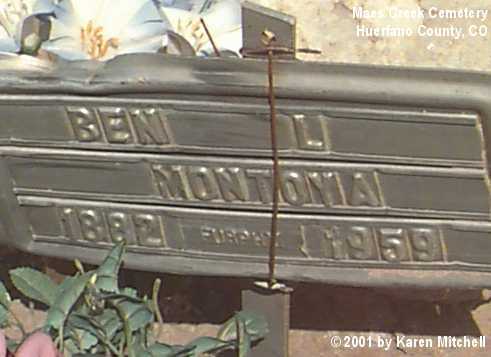 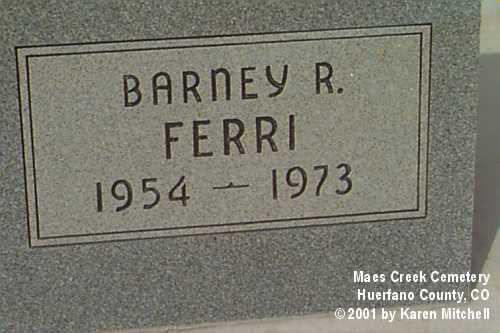 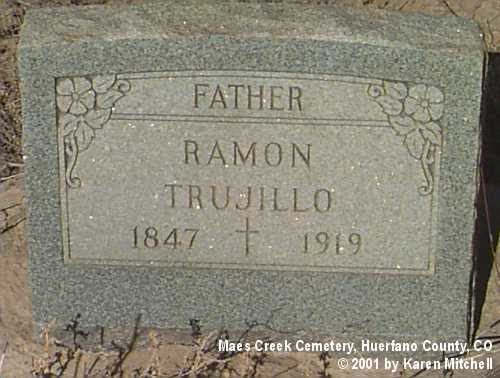 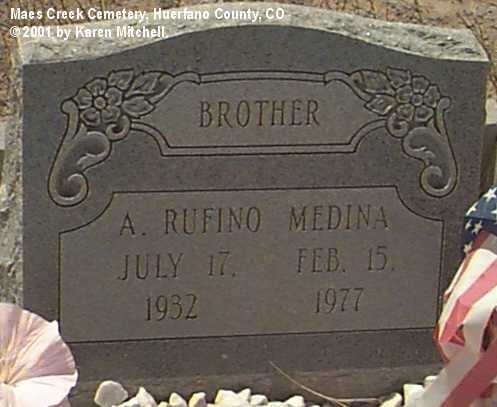 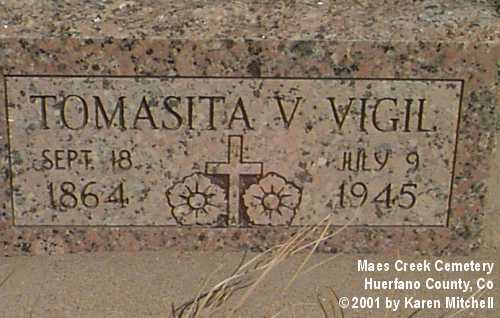 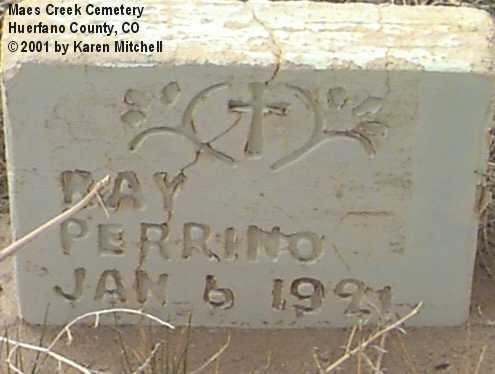 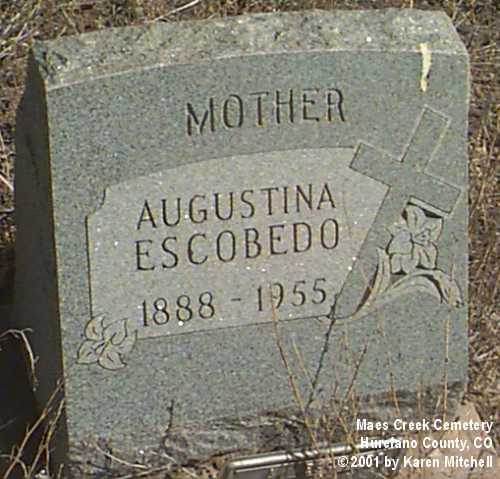 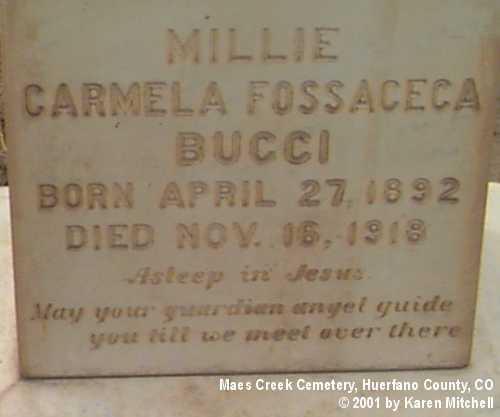 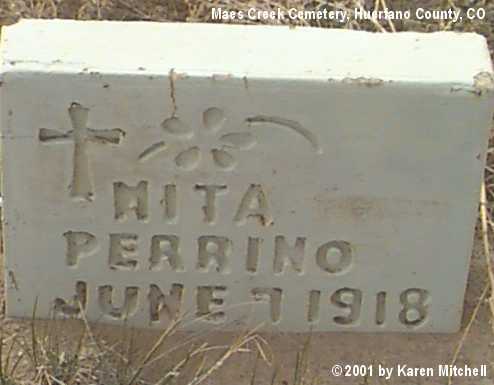 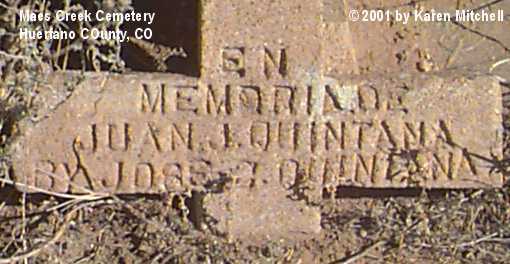 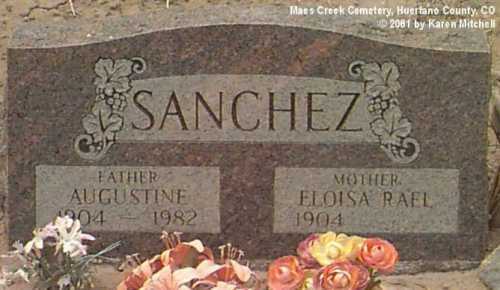 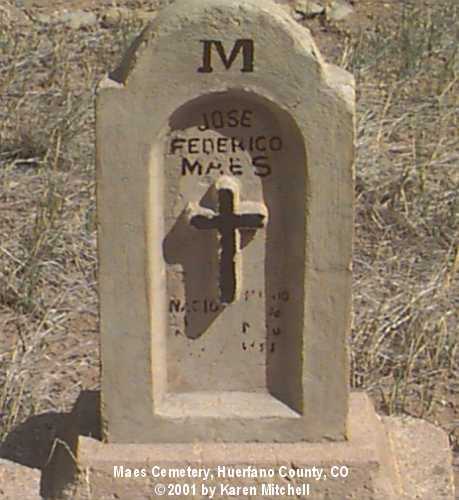 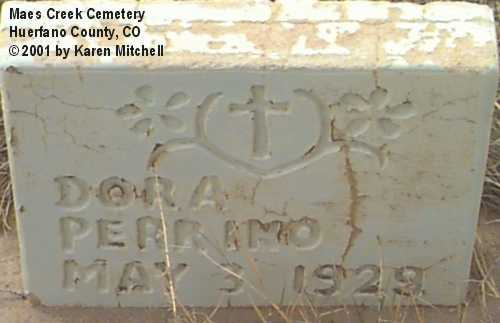 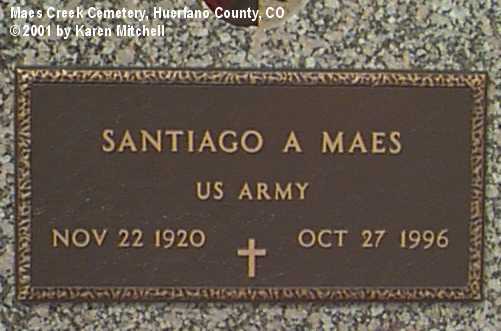 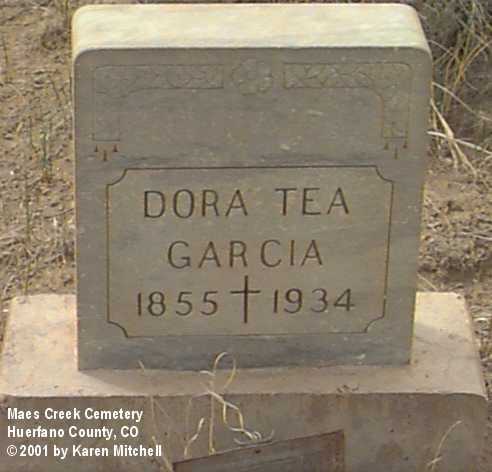 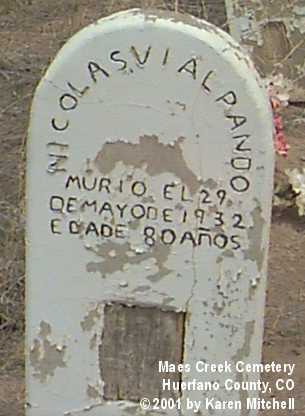 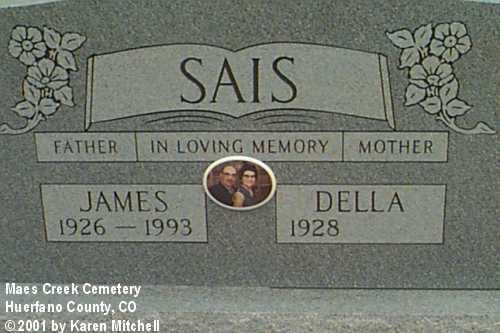 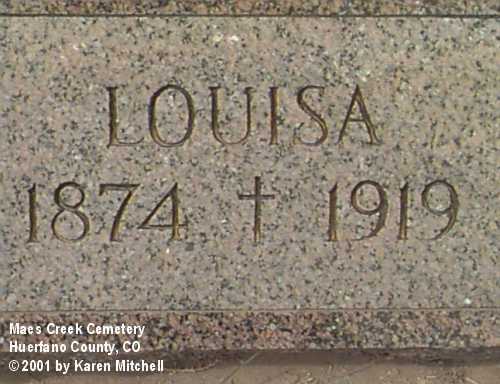 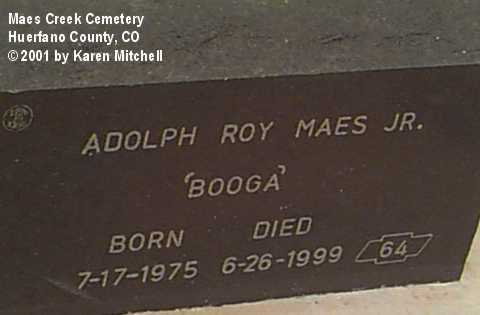 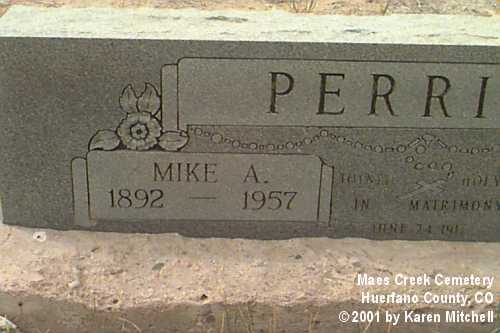 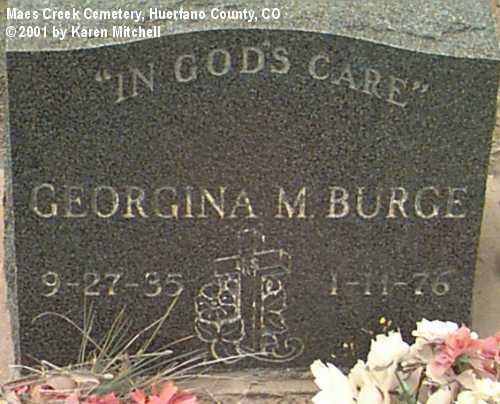 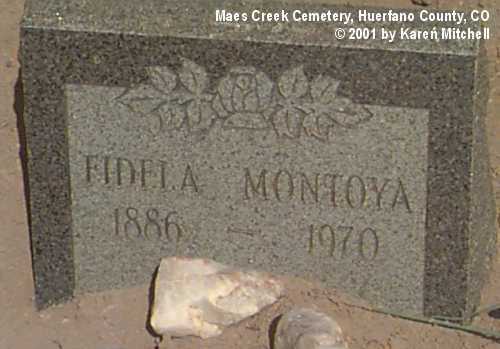 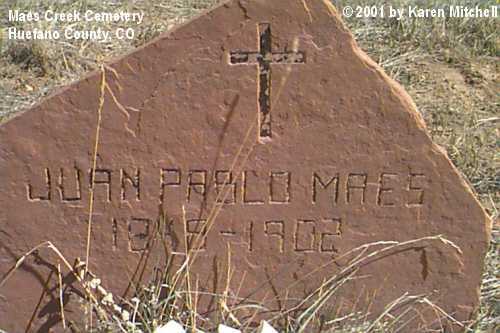 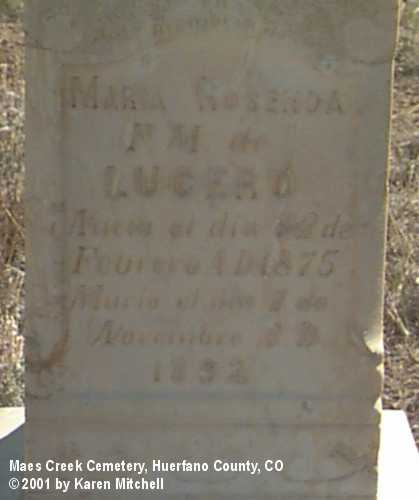 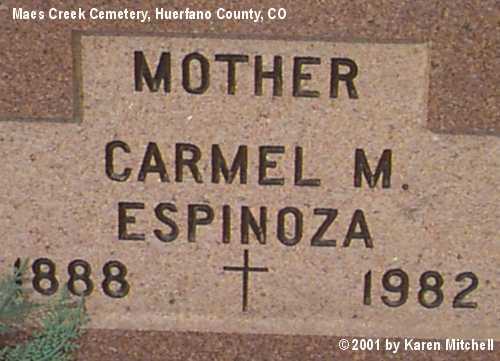 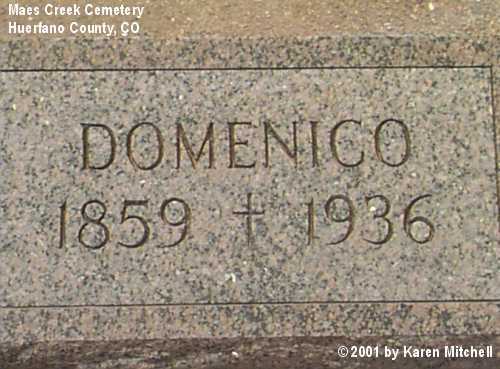 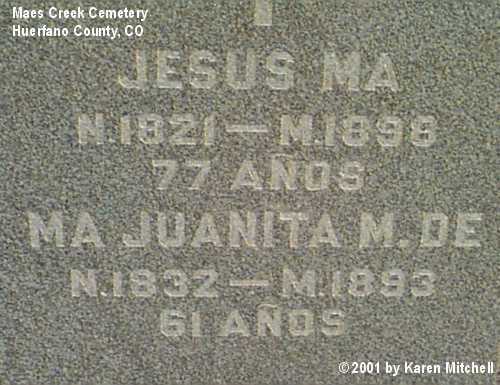 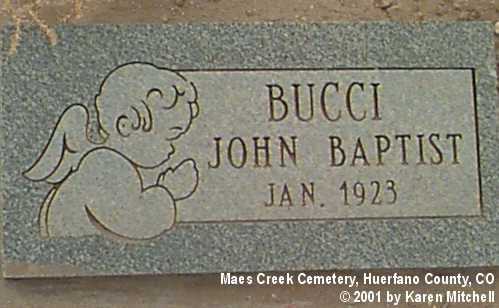 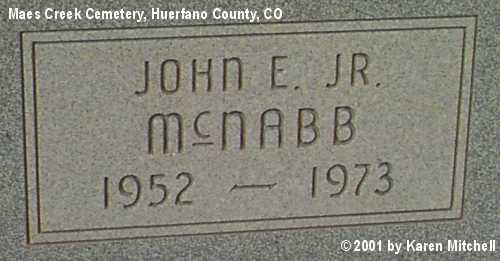 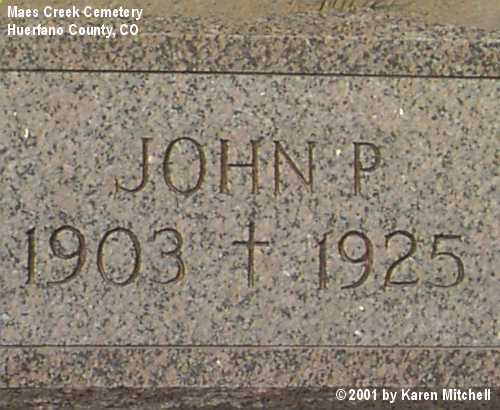 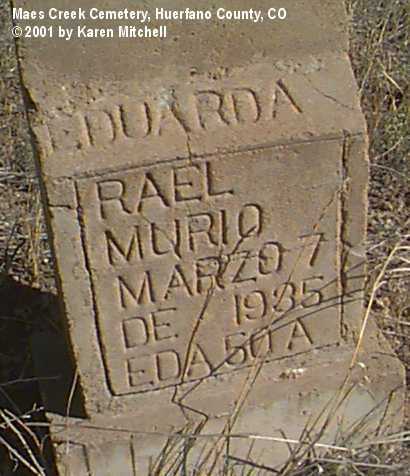 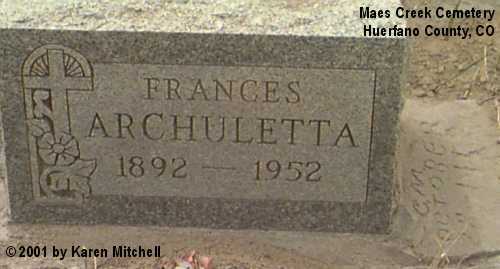 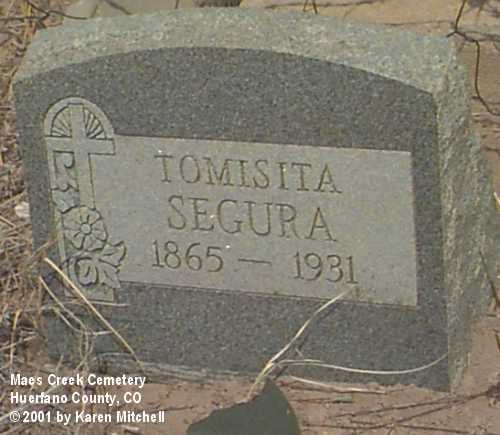 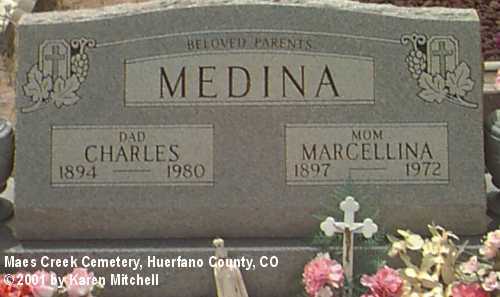 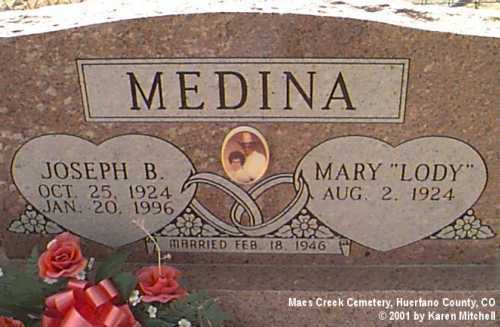 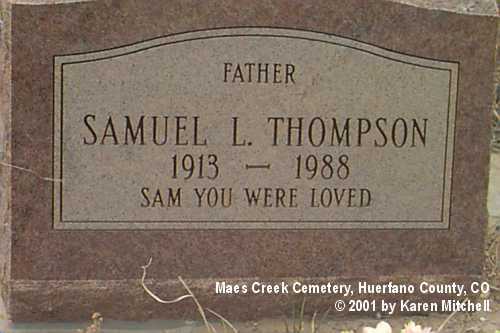 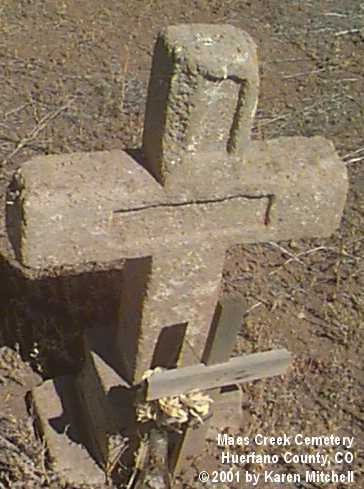 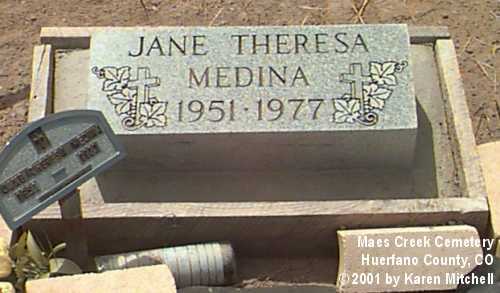 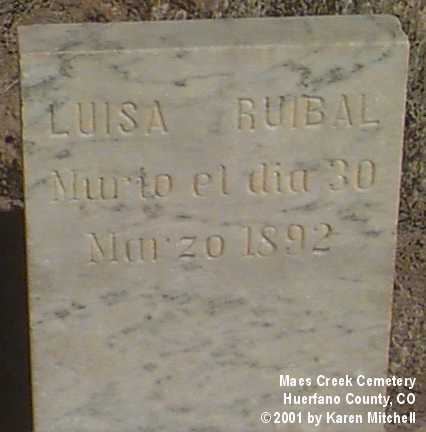 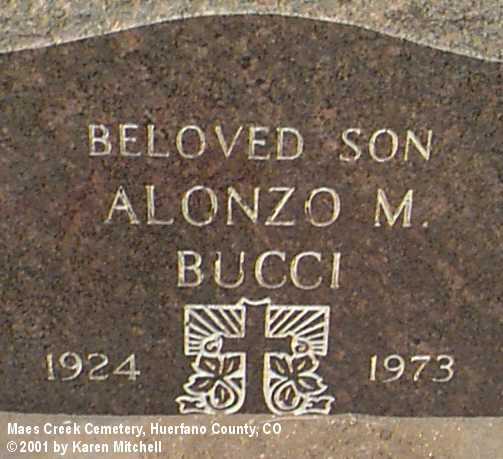 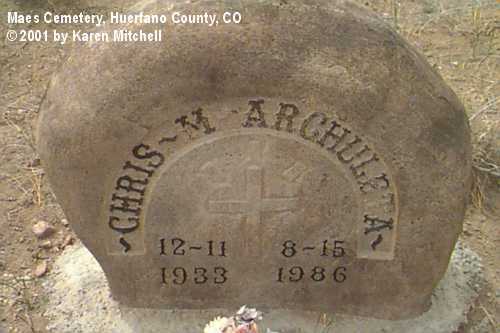 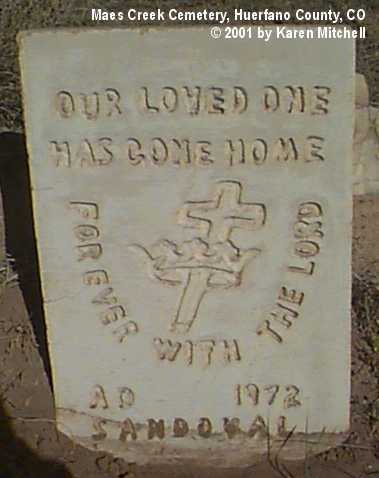 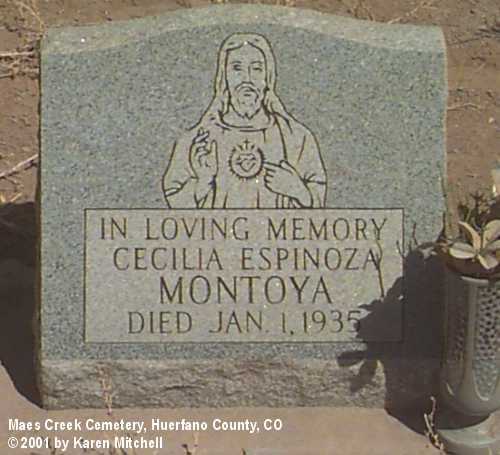 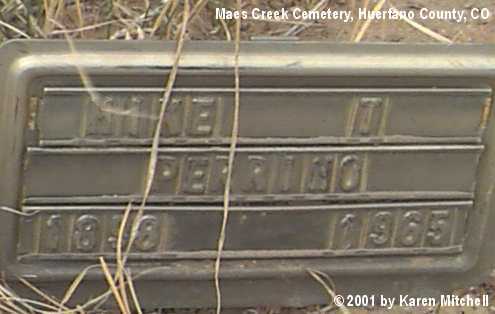 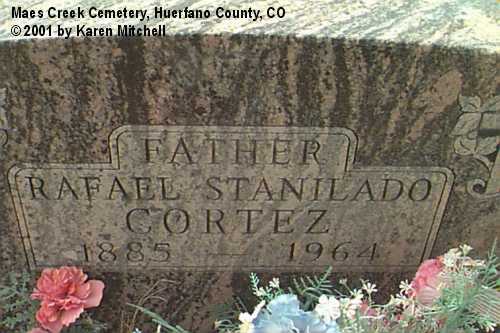 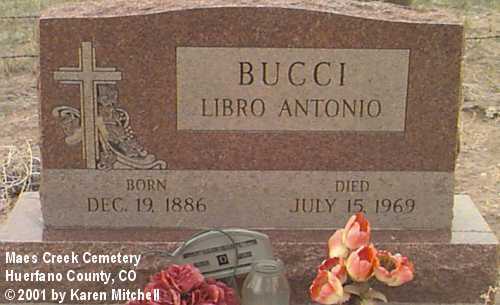 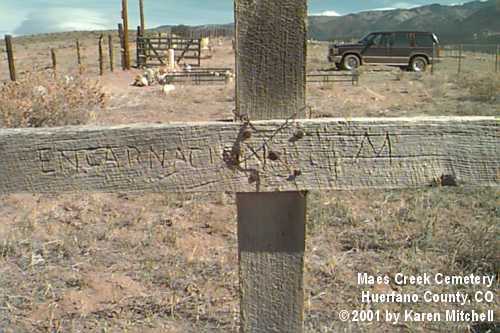 This cemetery has been referred to as all of the above names in the church records. 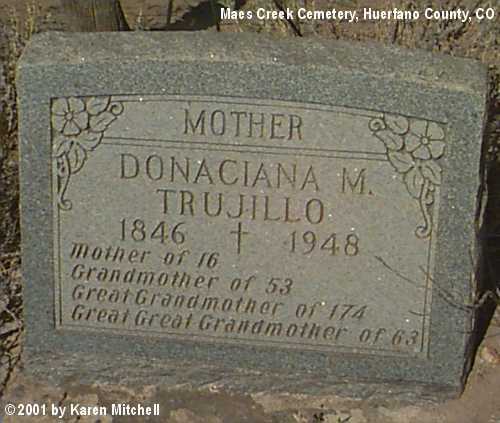 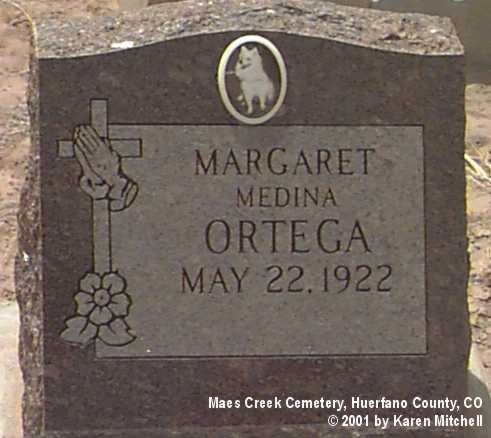 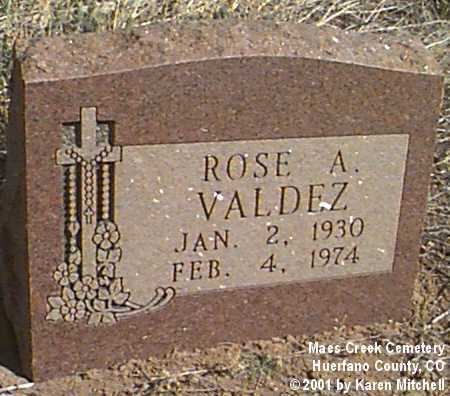 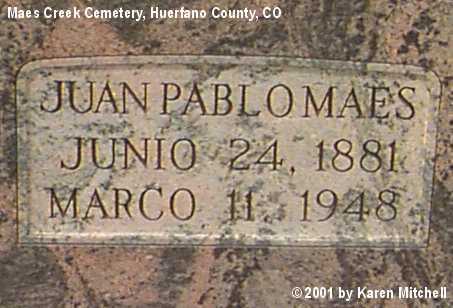 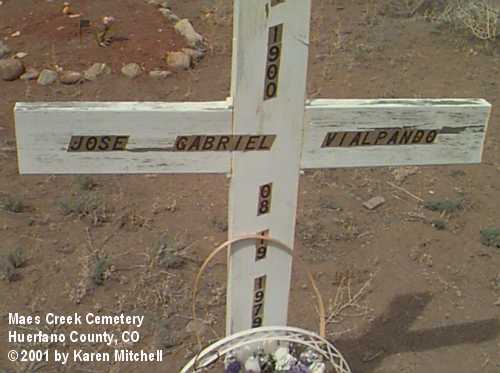 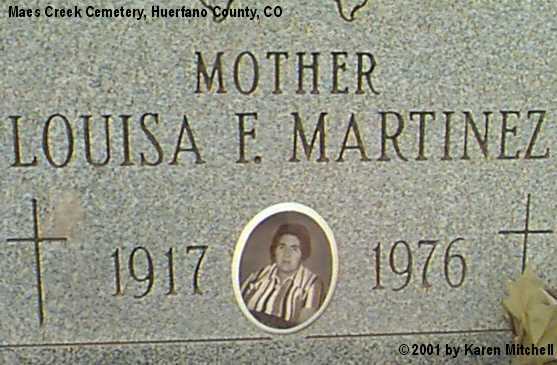 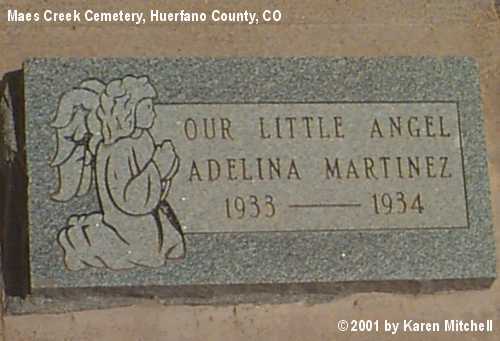 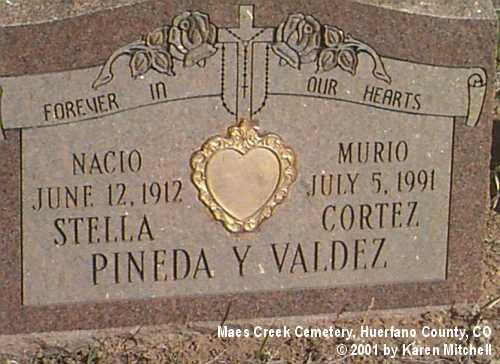 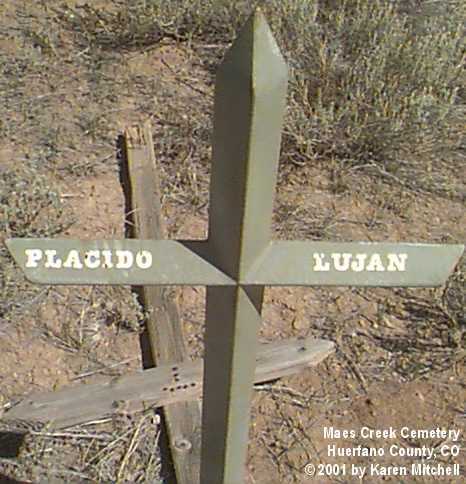 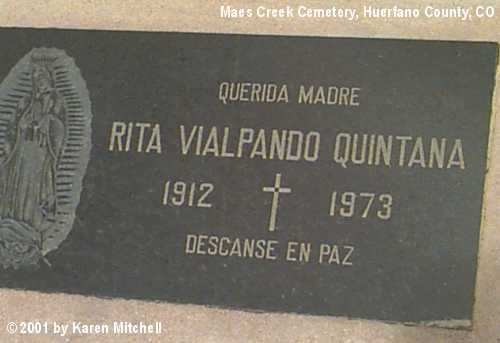 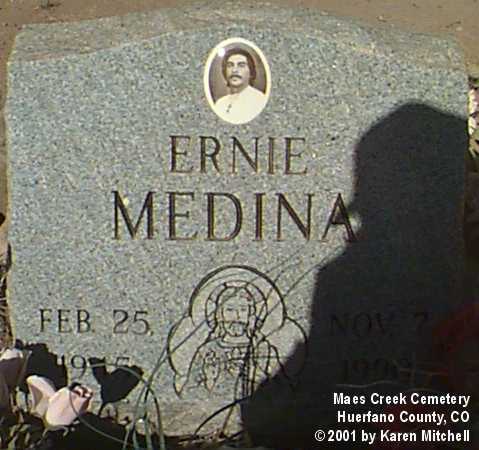 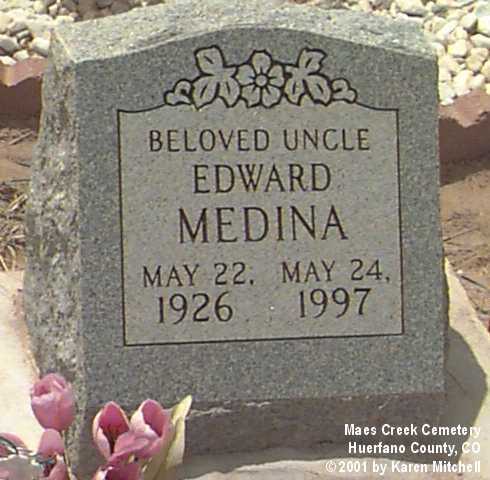 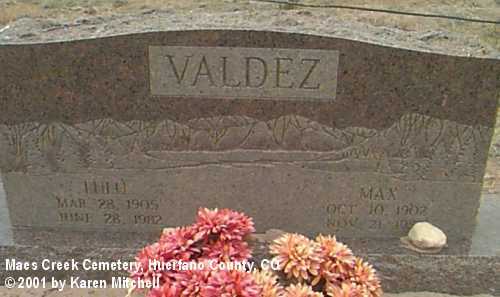 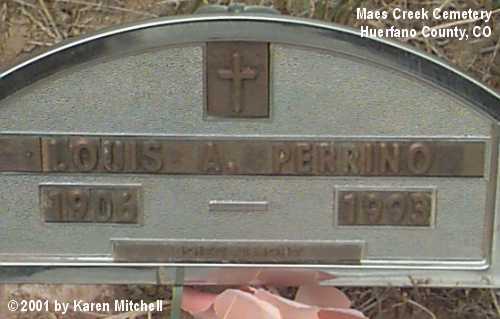 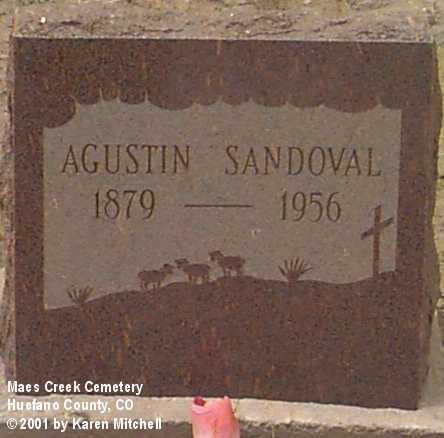 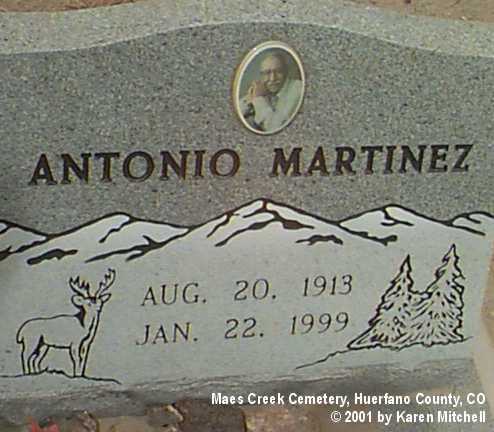 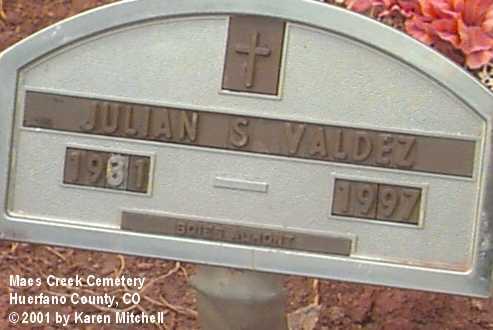 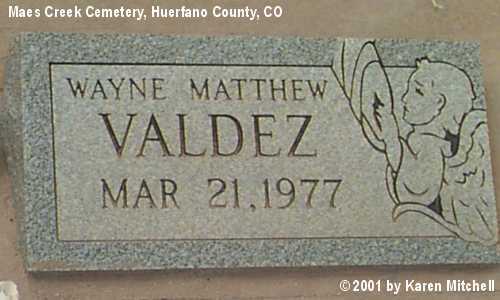 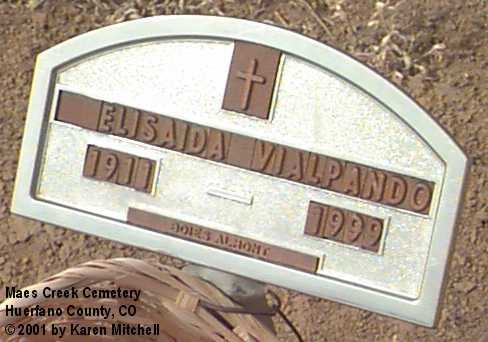 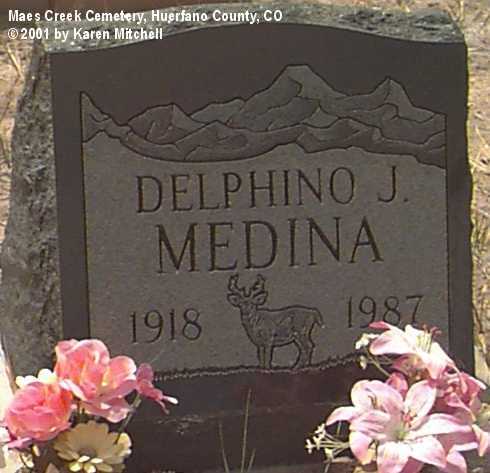 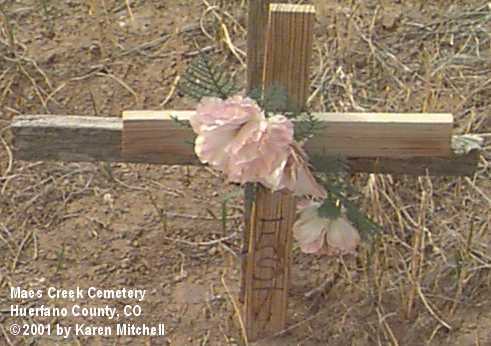 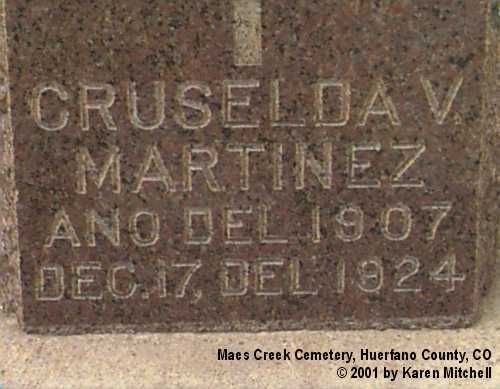 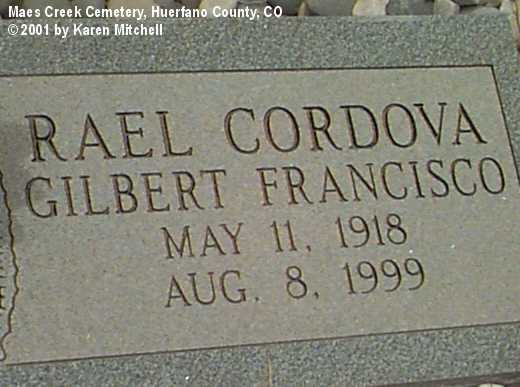 Recently a large sign was placed over the entrance calling it Valdez Cemetery. 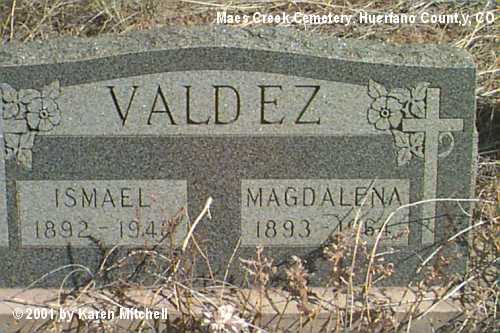 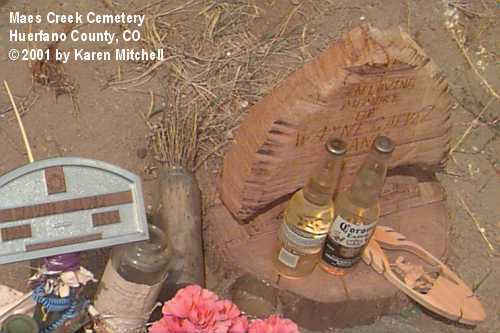 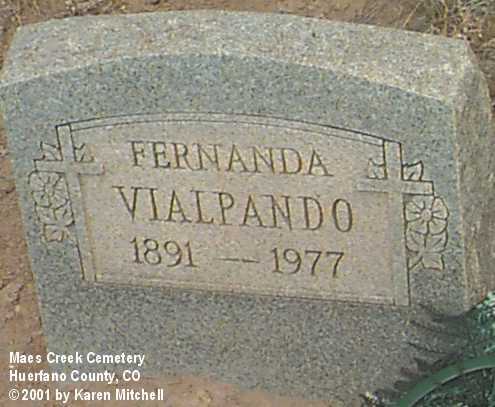 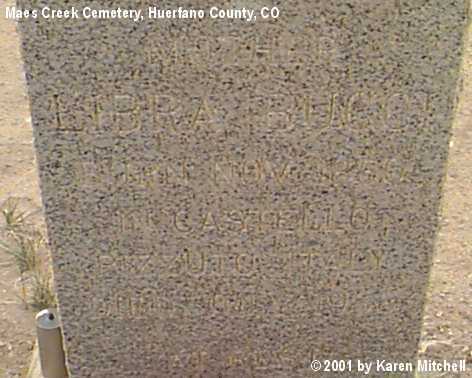 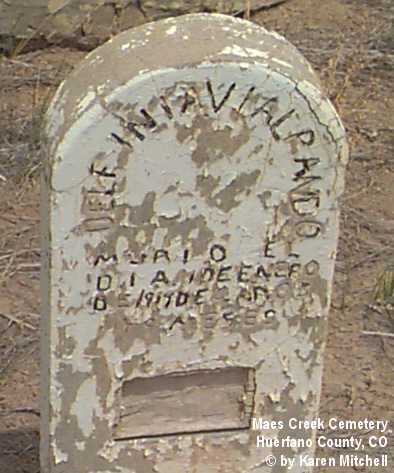 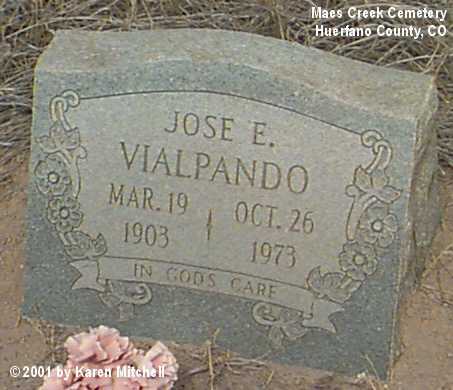 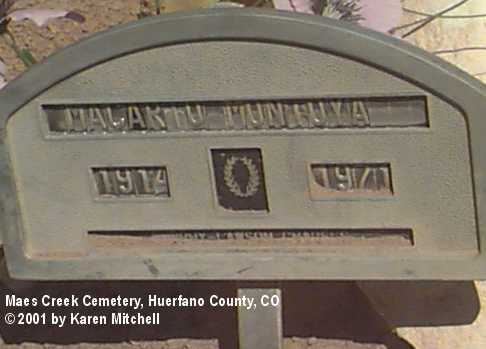 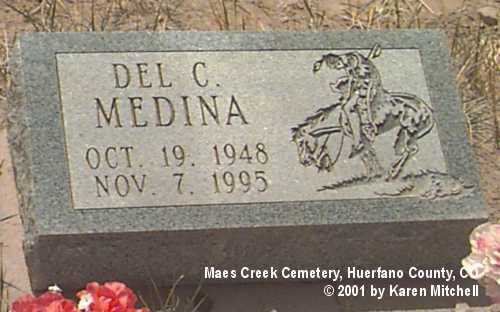 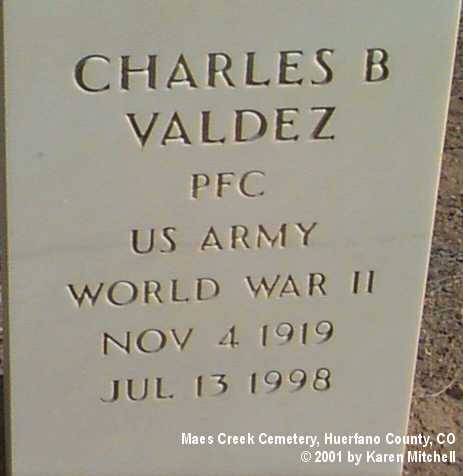 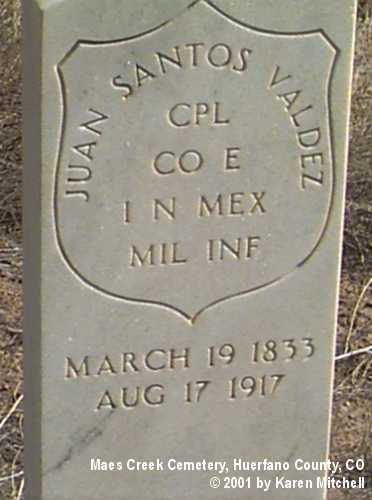 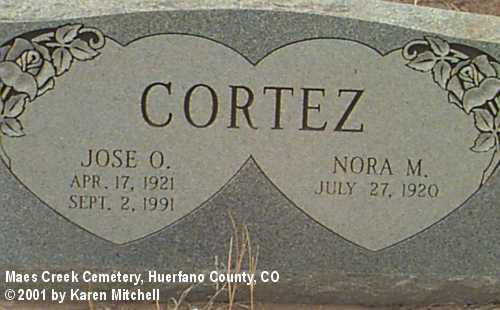 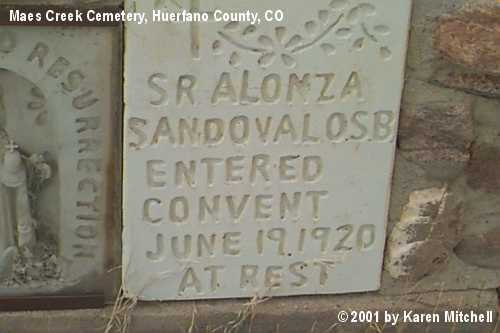 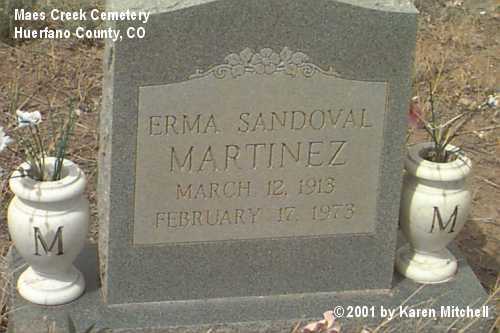 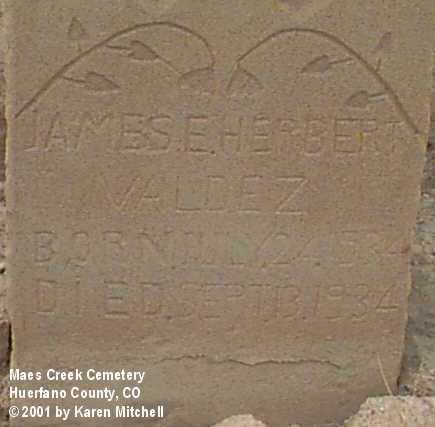 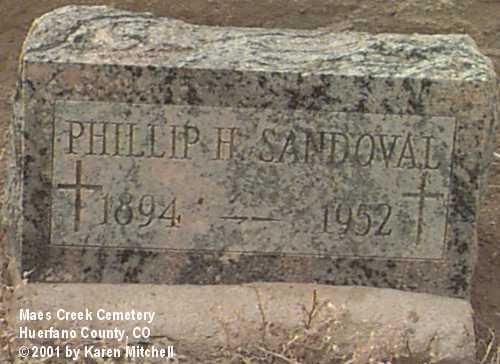 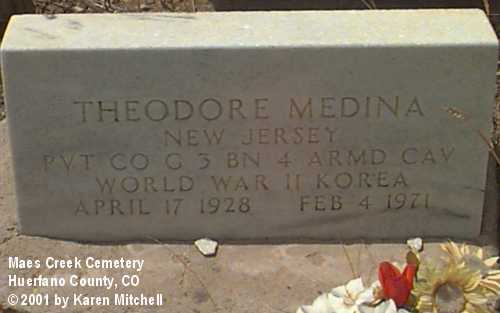 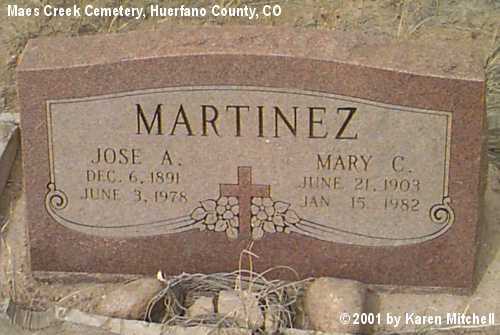 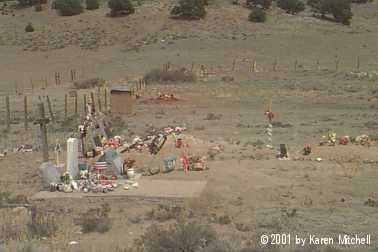 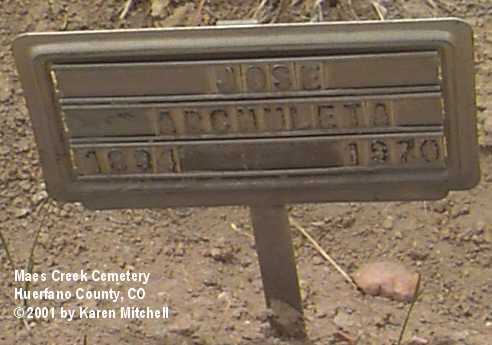 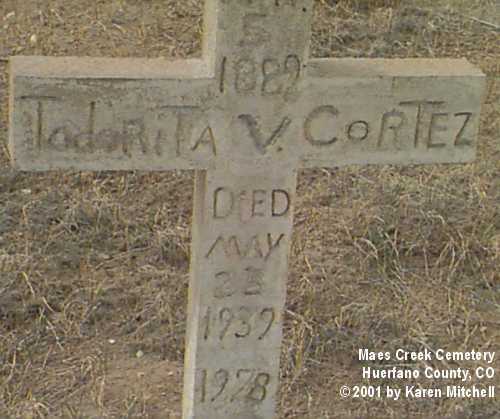 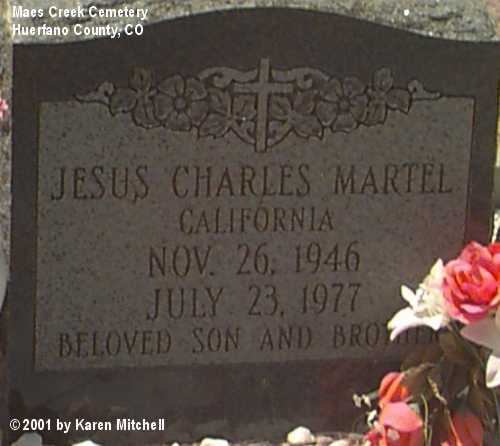 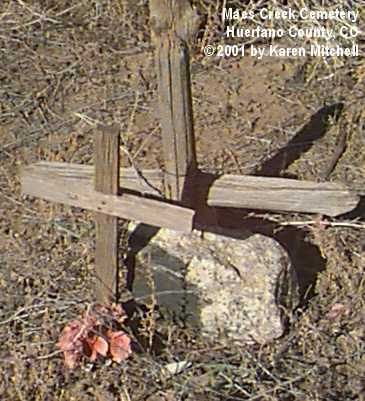 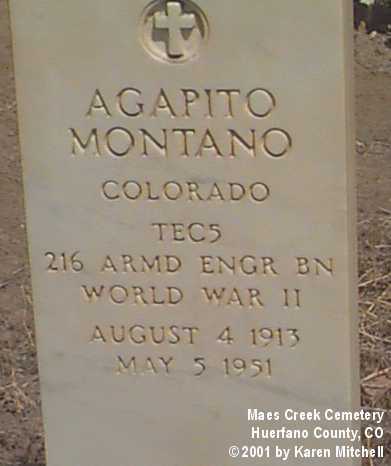 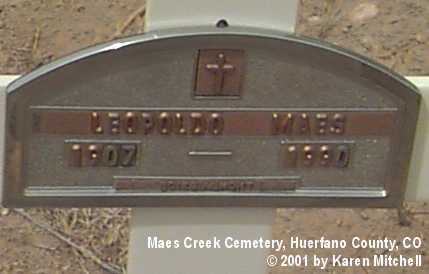 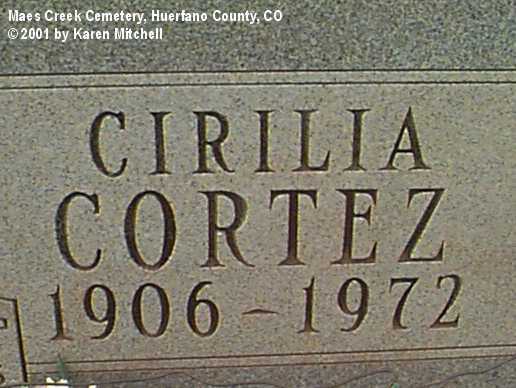 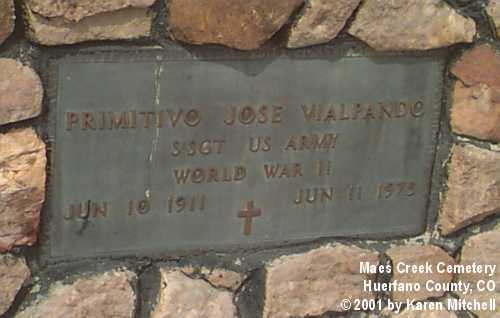 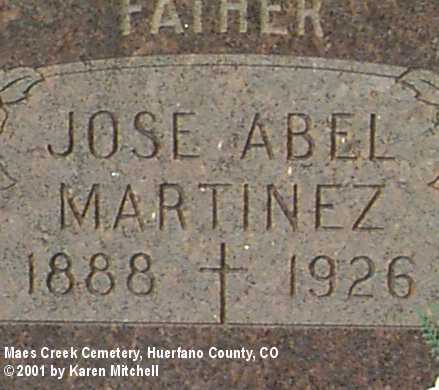 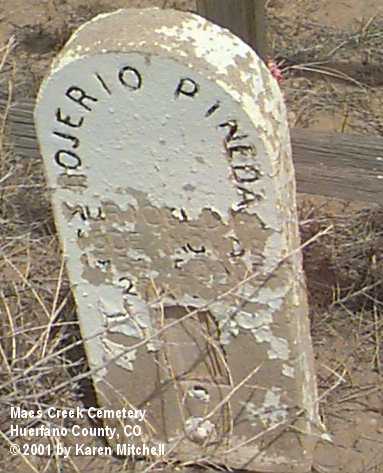 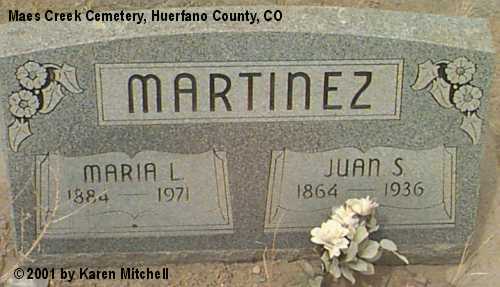 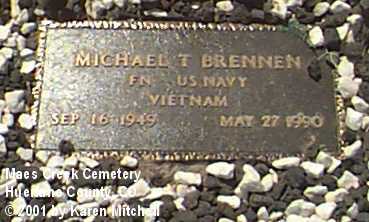 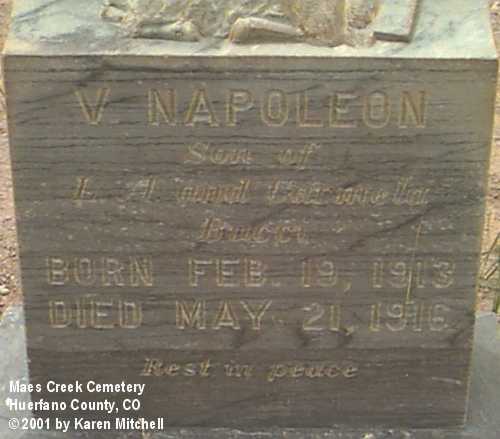 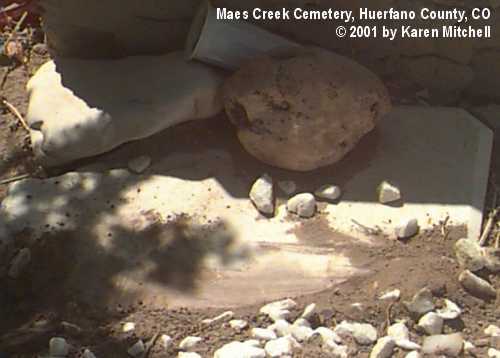 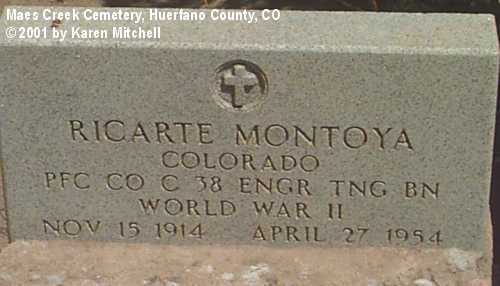 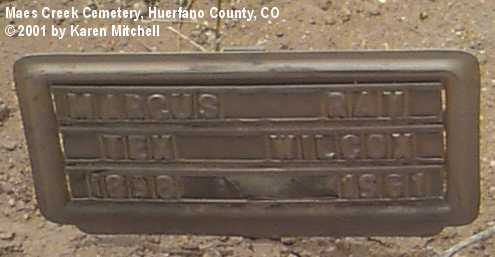 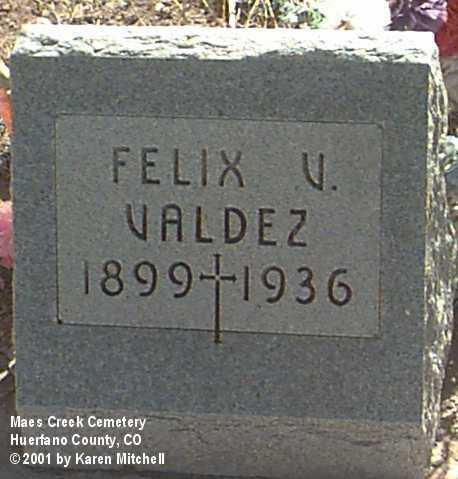 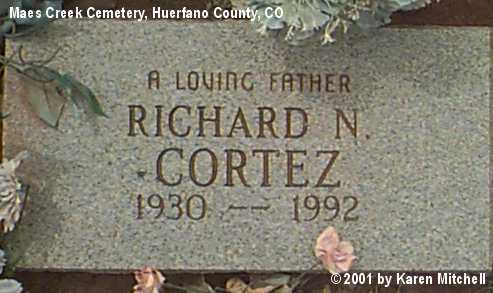 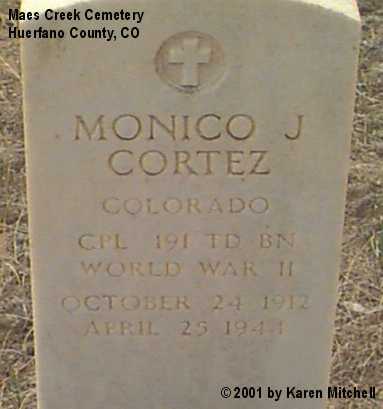 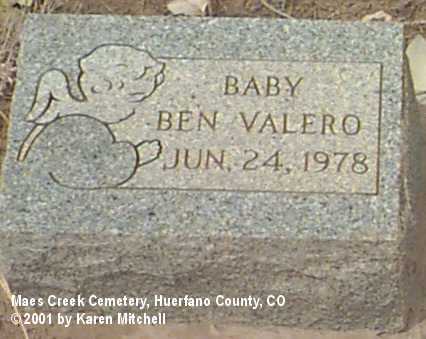 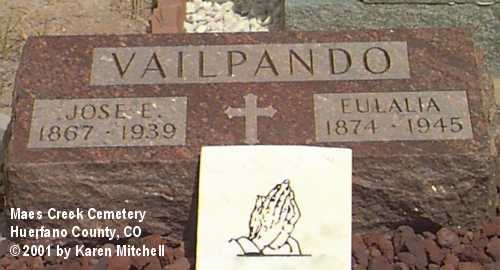 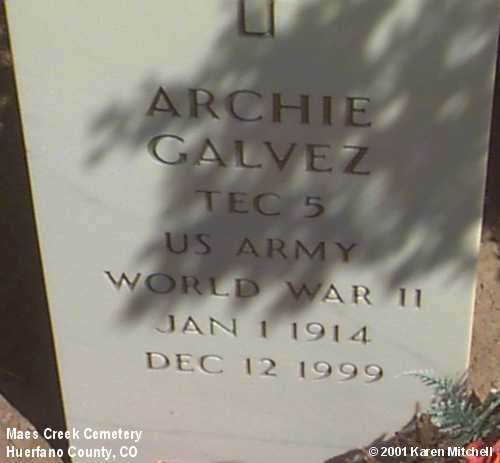 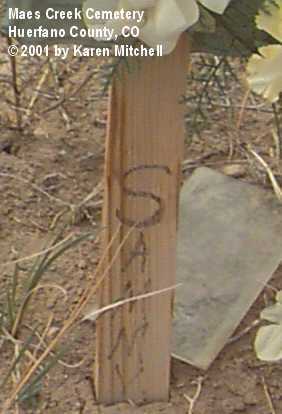 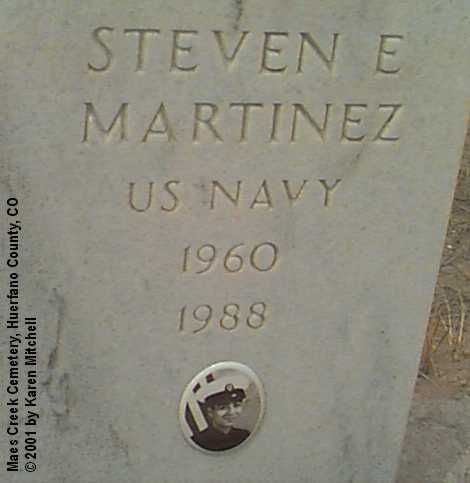 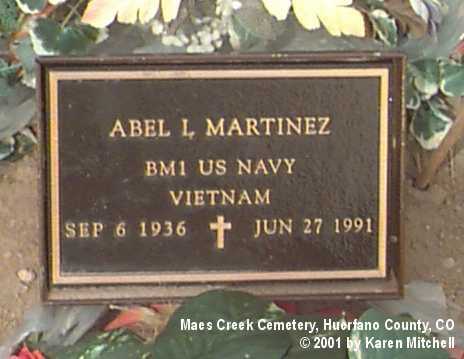 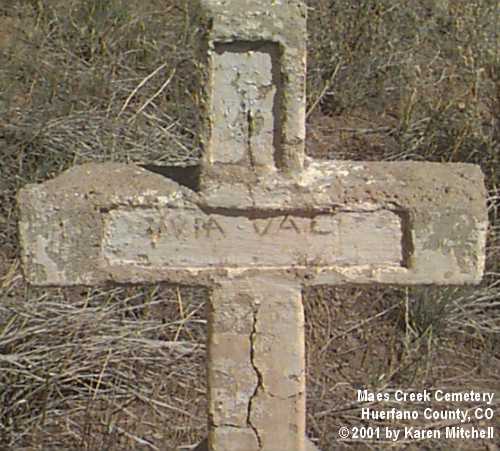 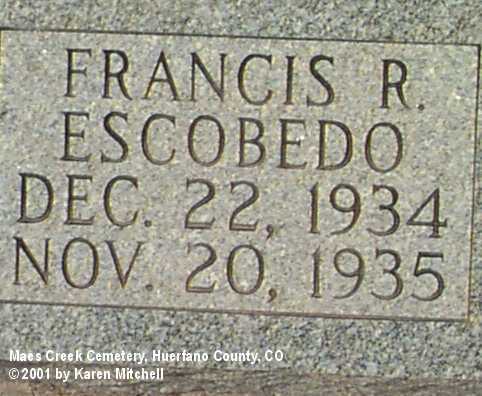 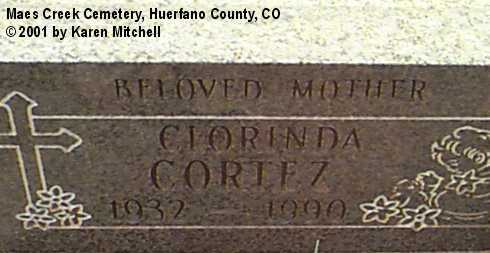 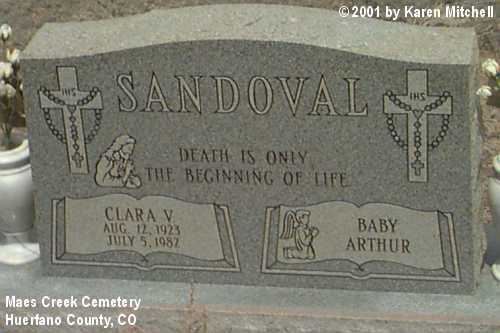 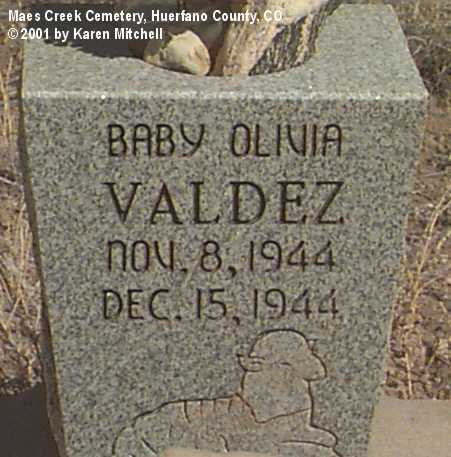 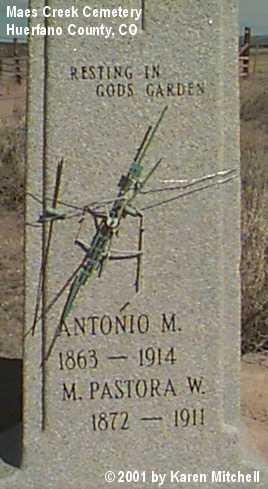 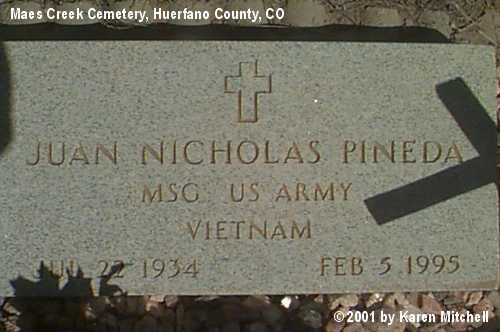 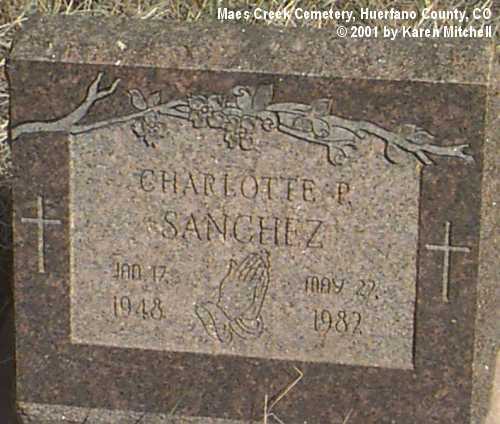 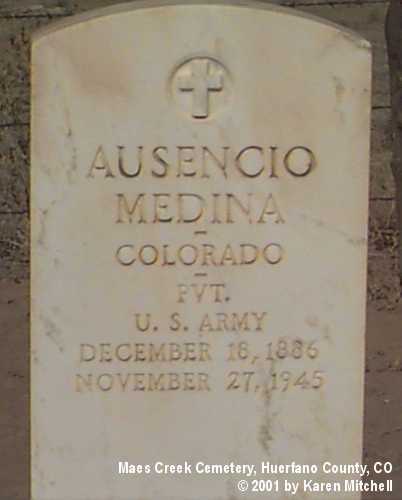 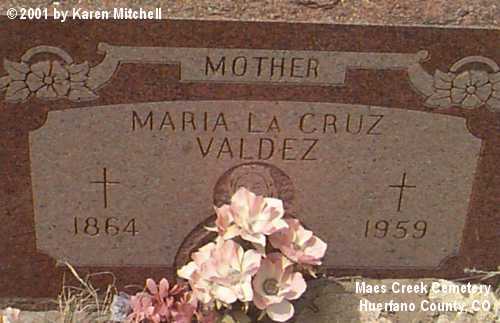 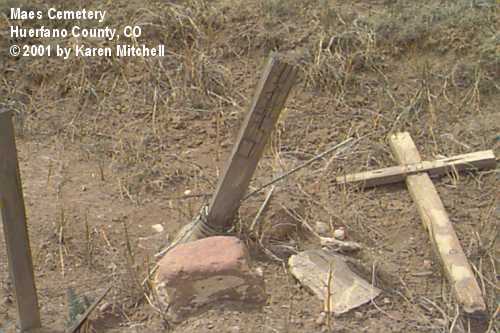 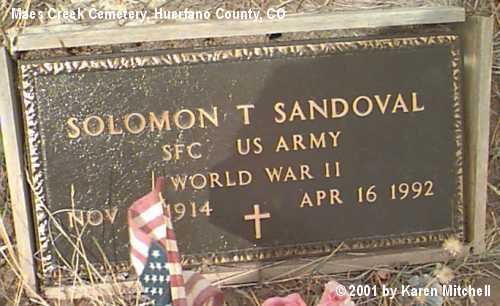 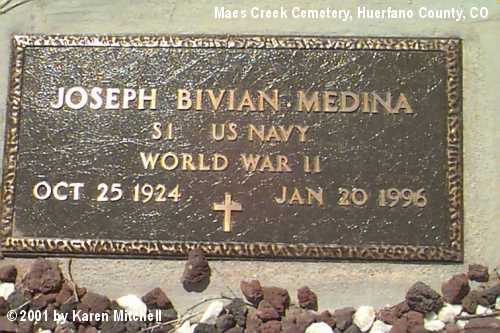 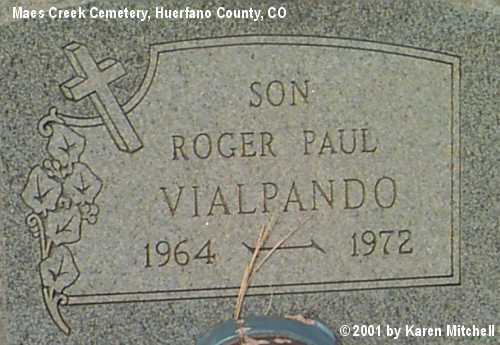 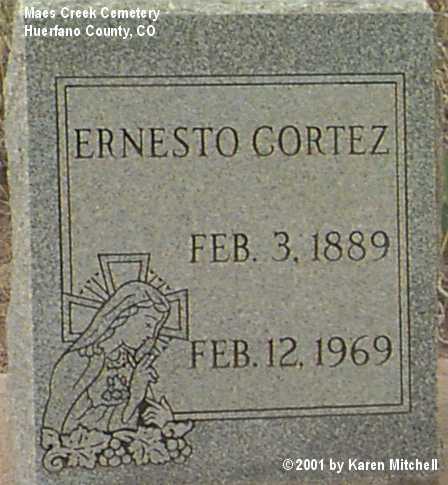 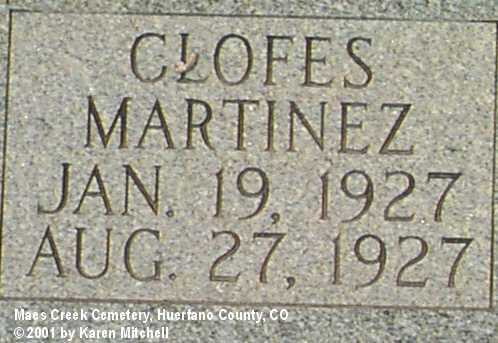 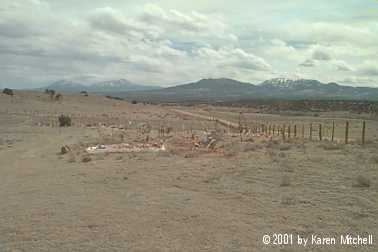 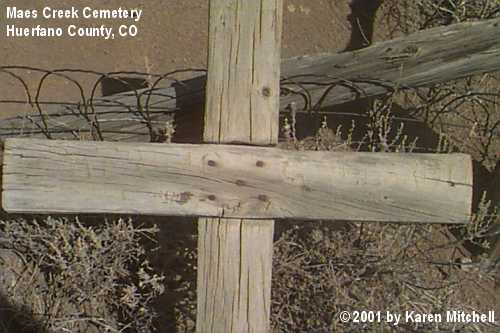 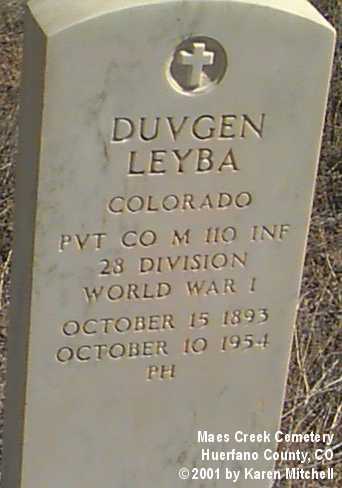 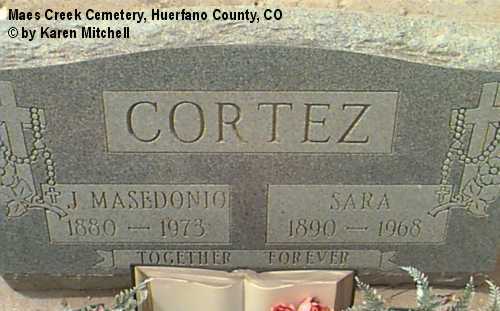 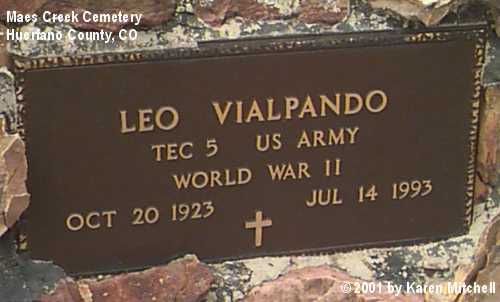 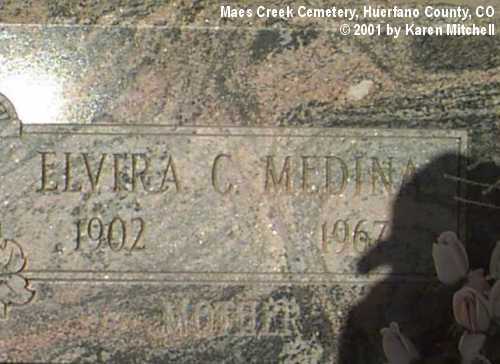 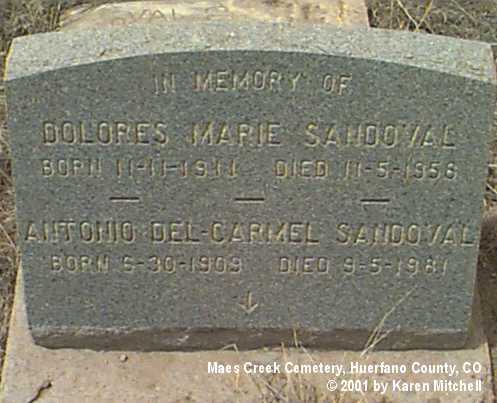 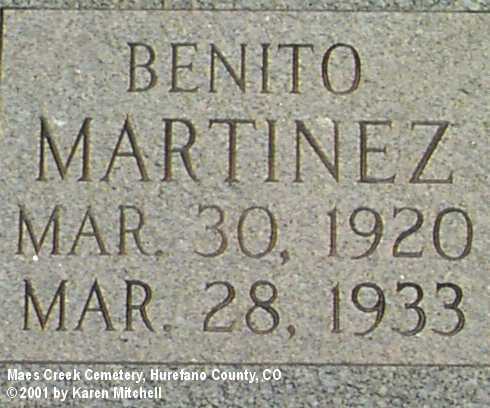 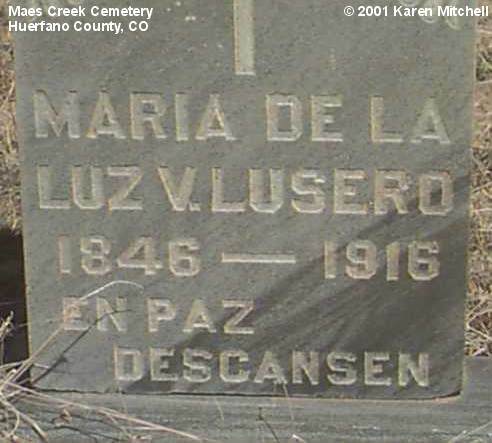 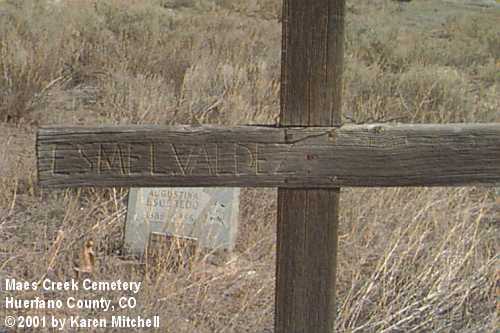 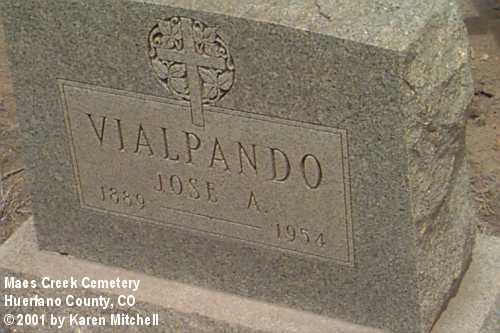 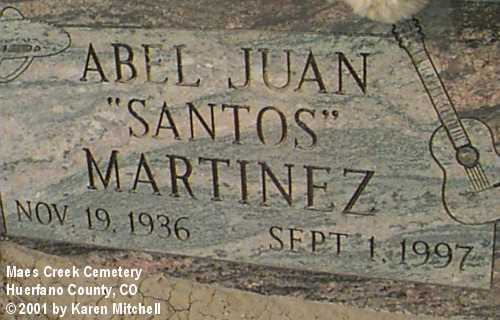 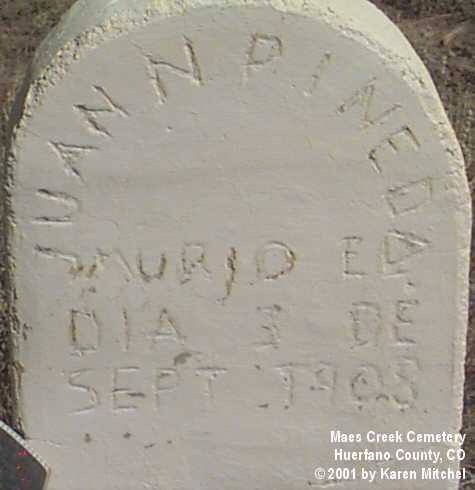 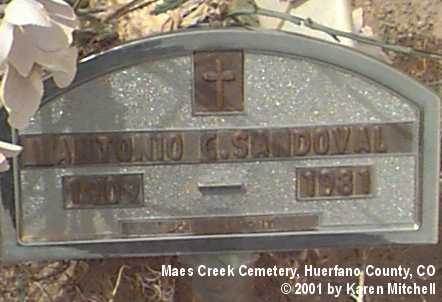 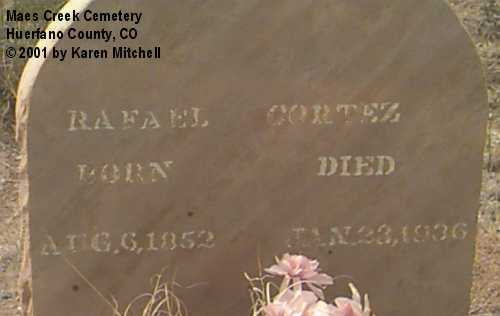 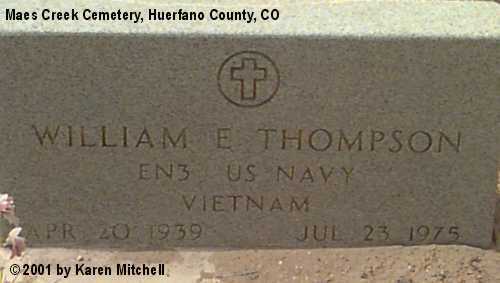 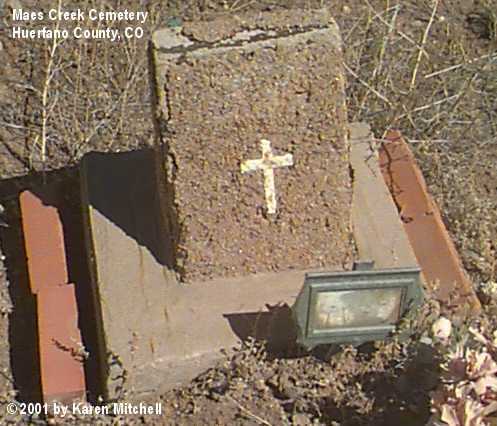 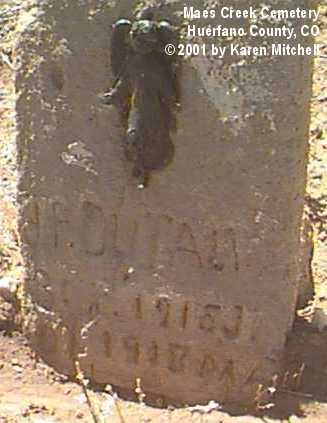 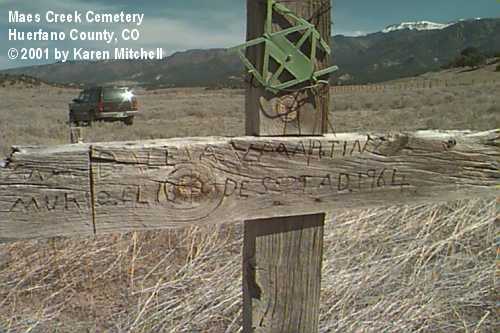 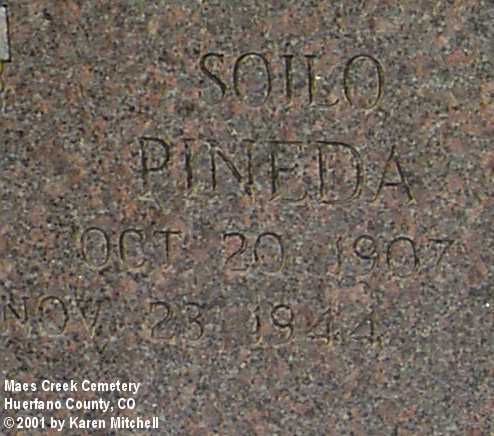 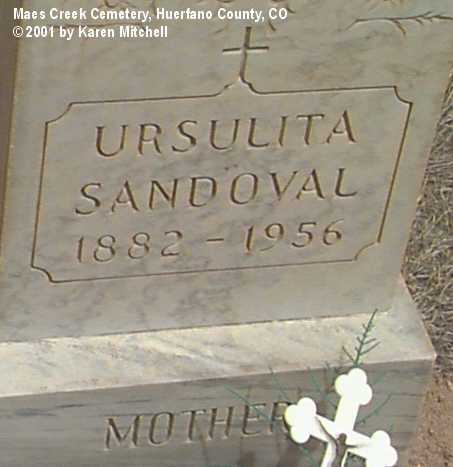 However, Valdez Cemetery is located in another area. 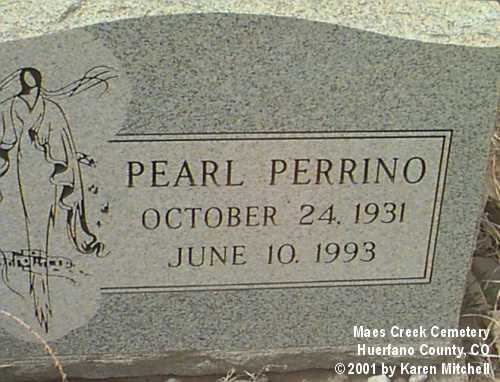 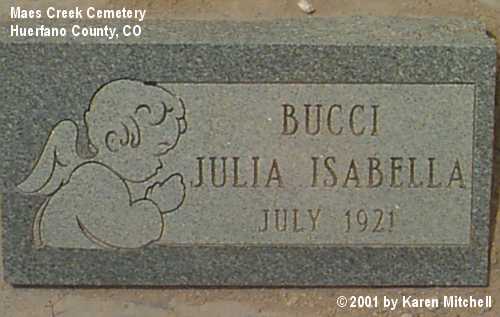 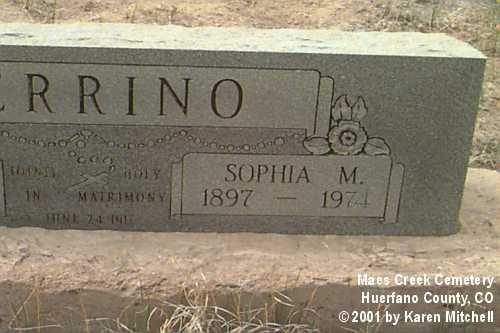 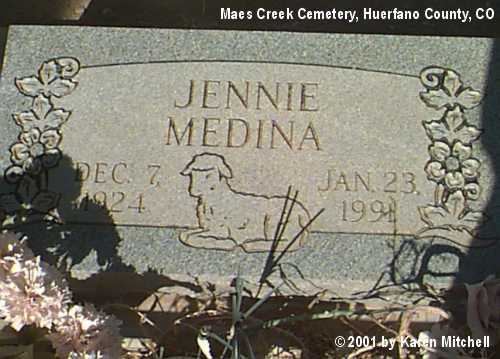 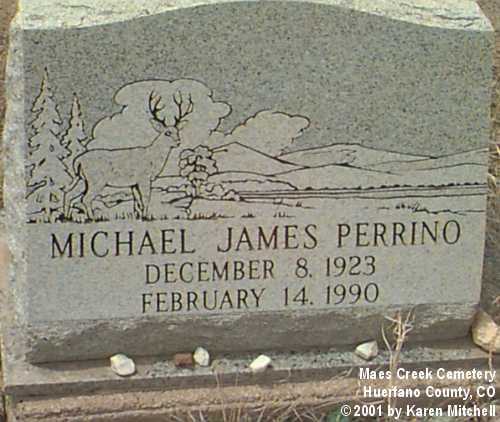 Photo on stone is her dog "Princess."